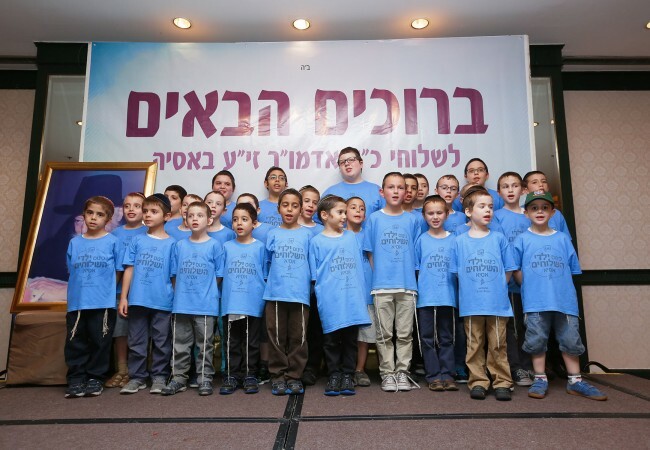 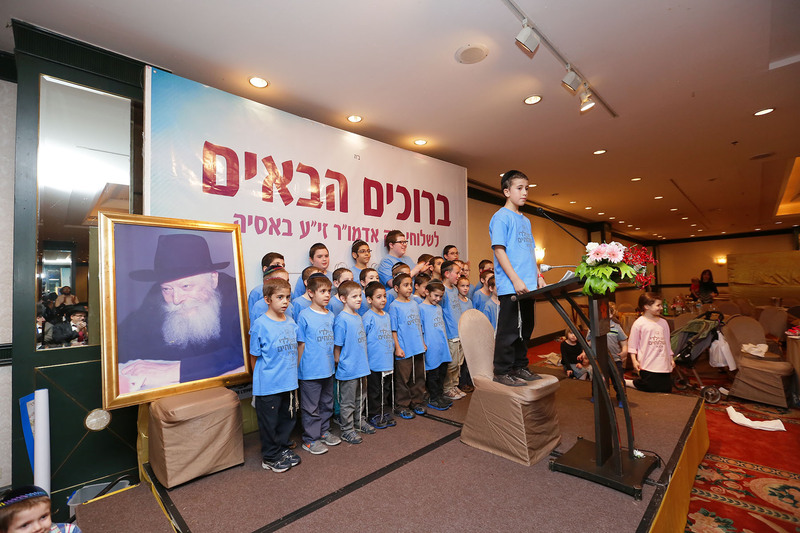 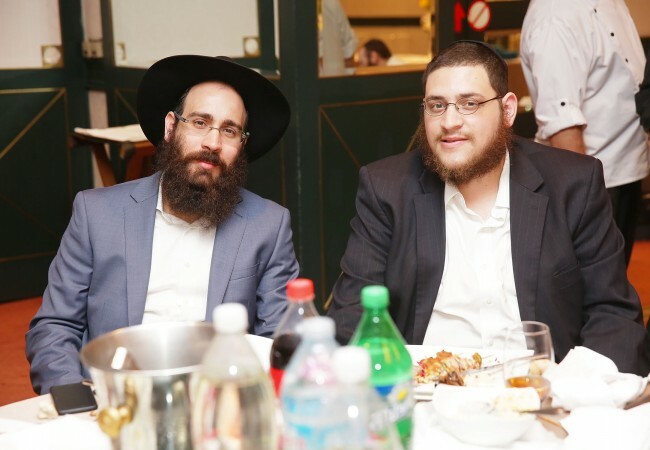 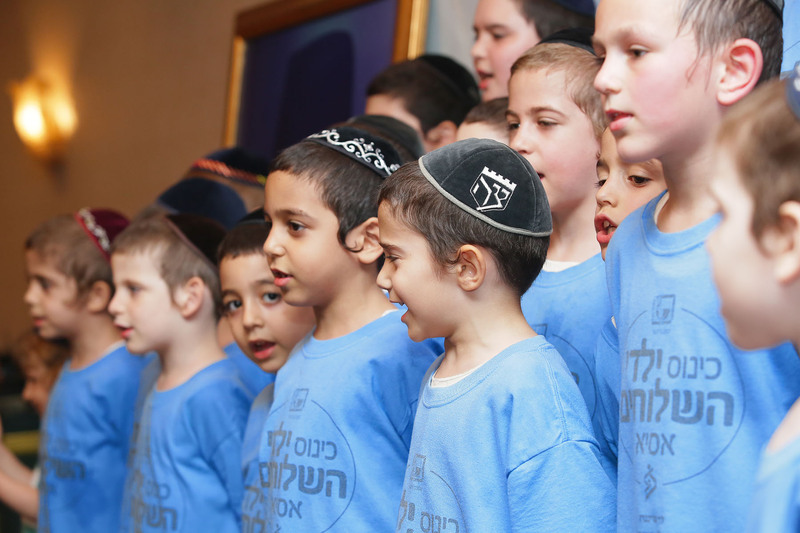 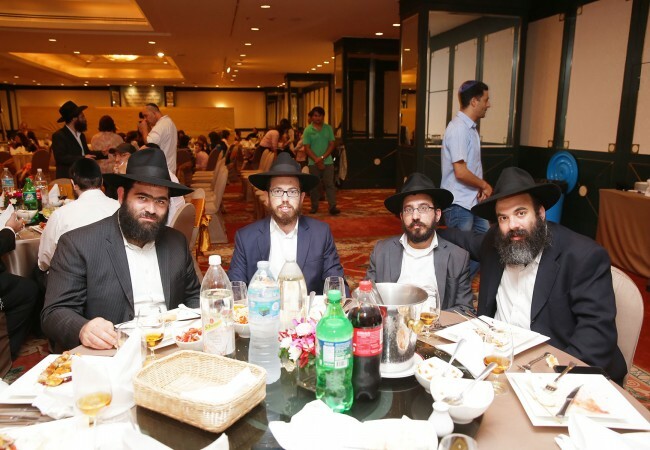 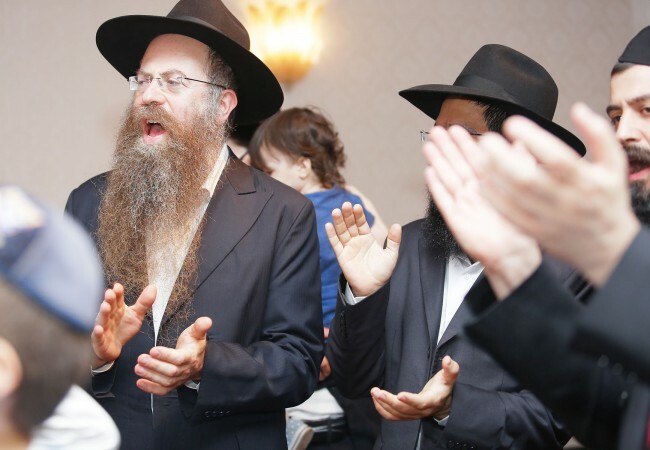 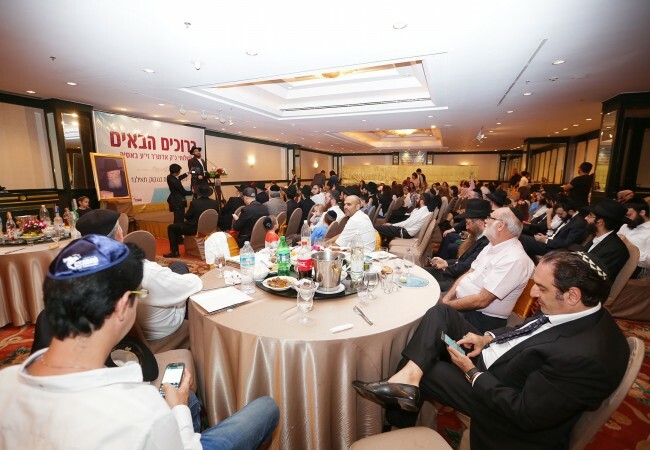 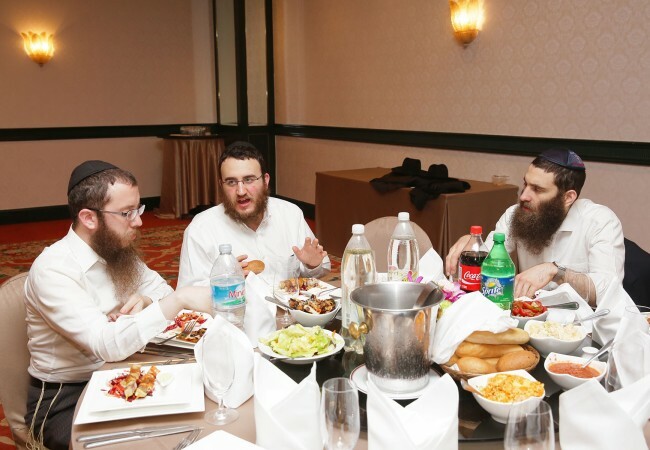 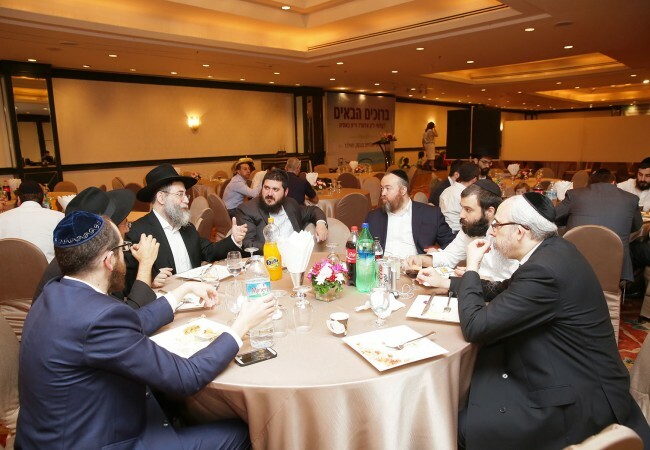 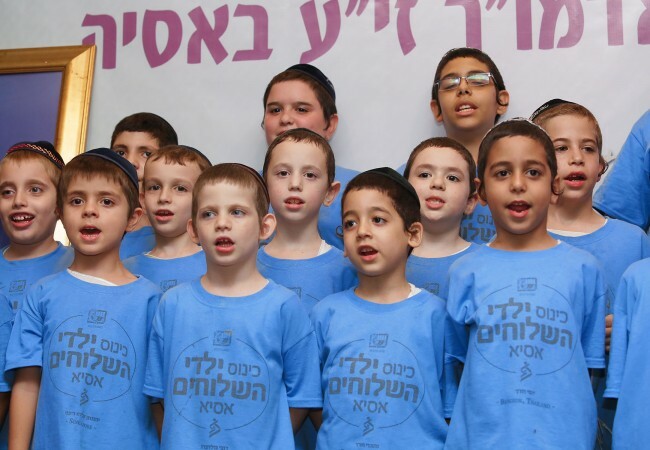 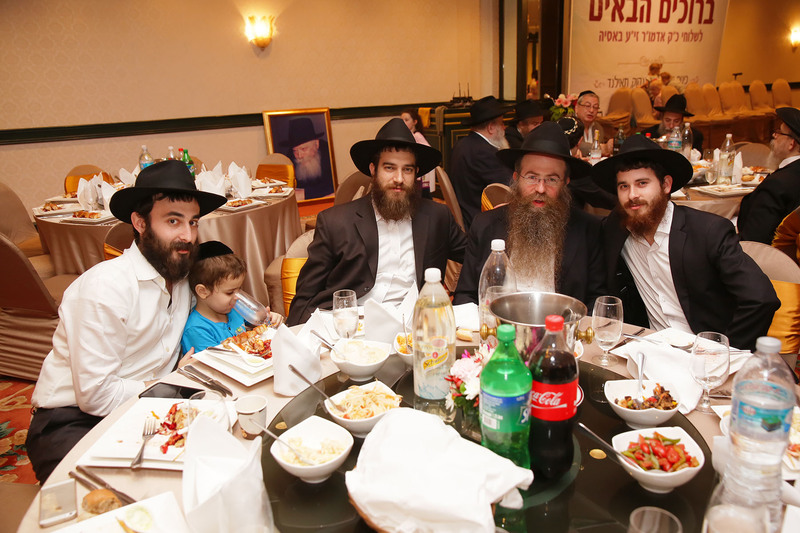 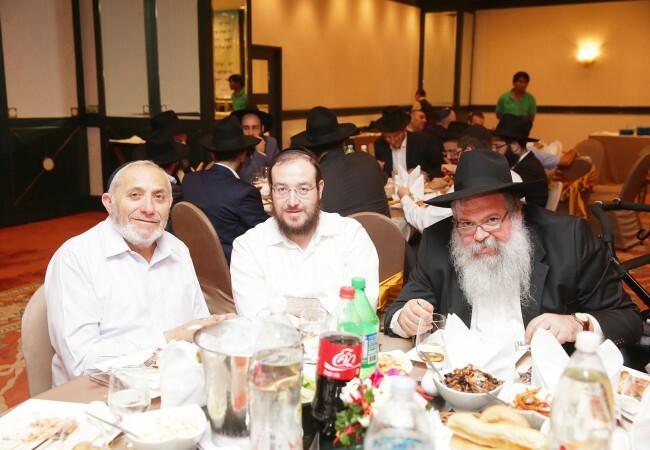 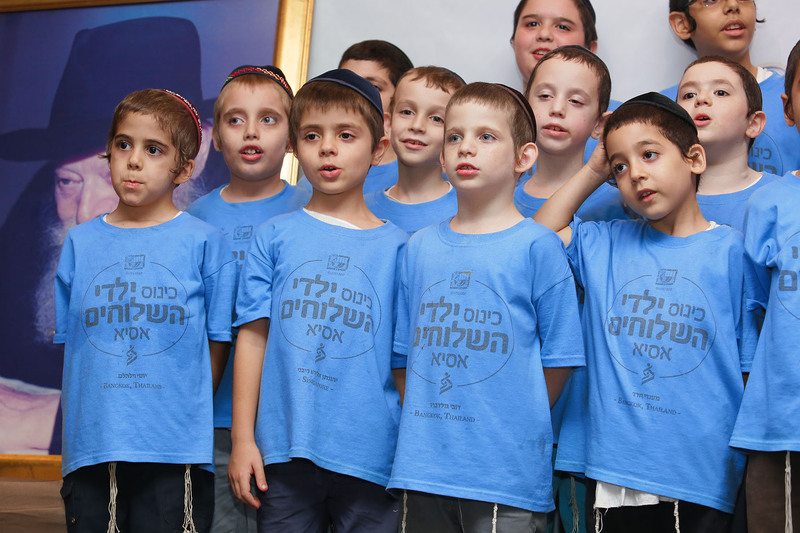 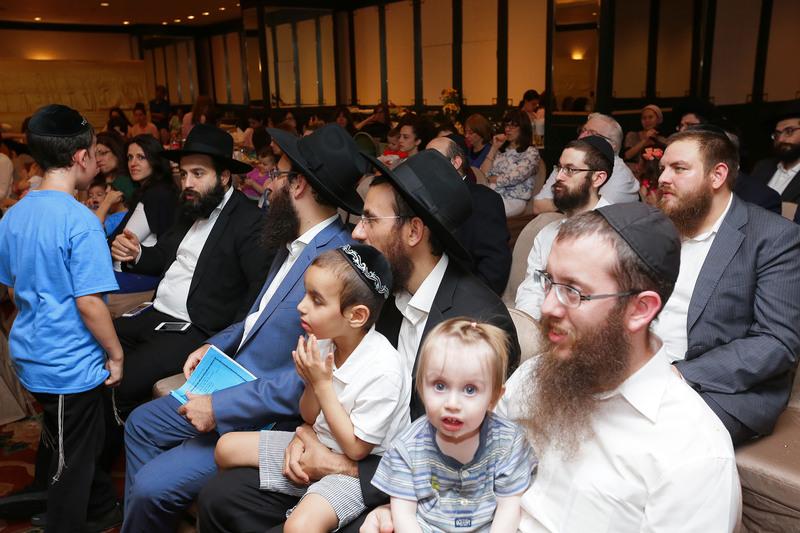 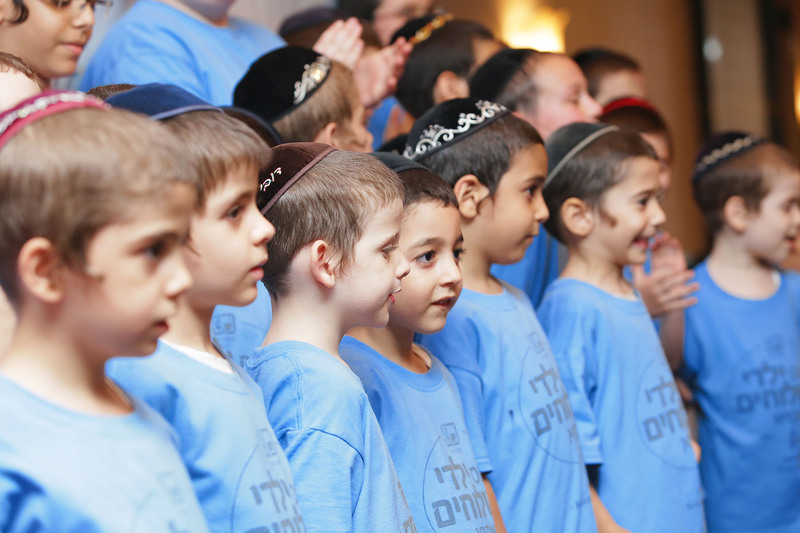 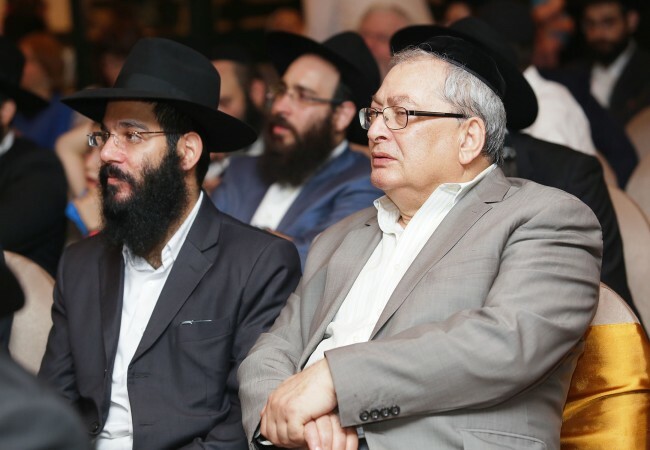 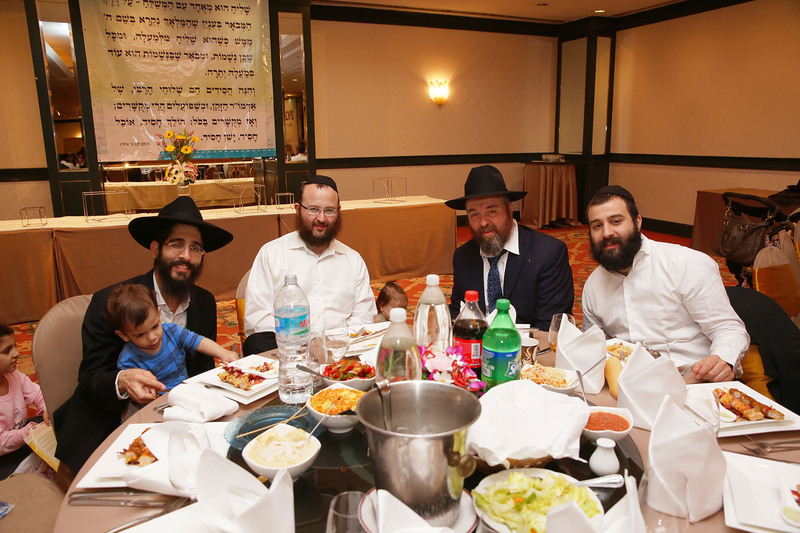 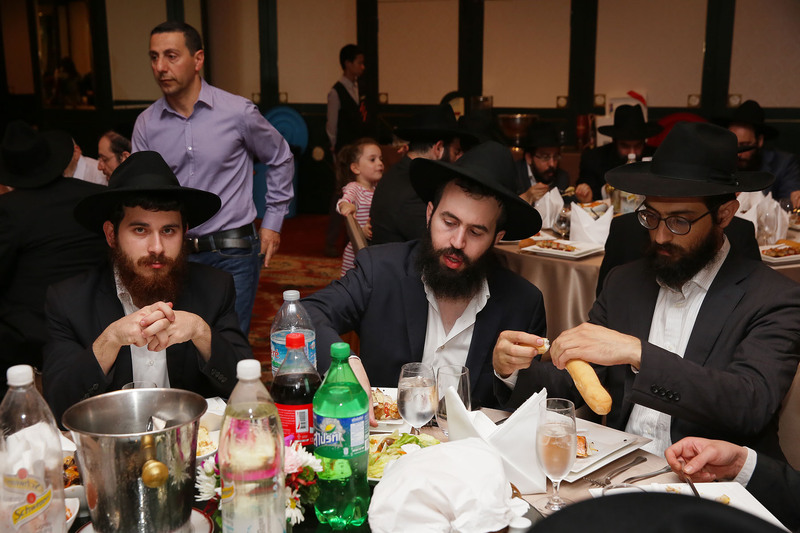 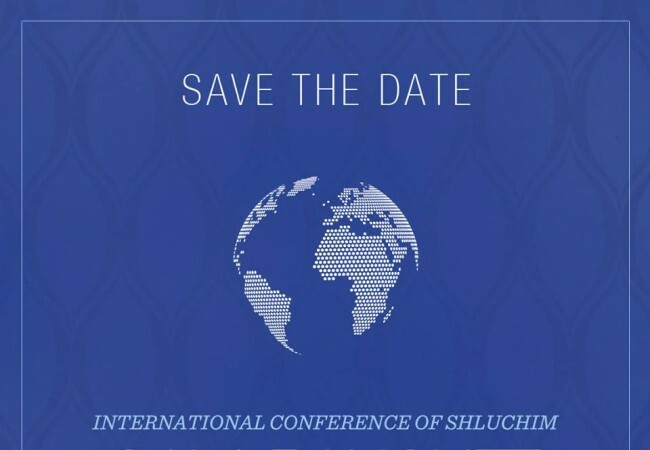 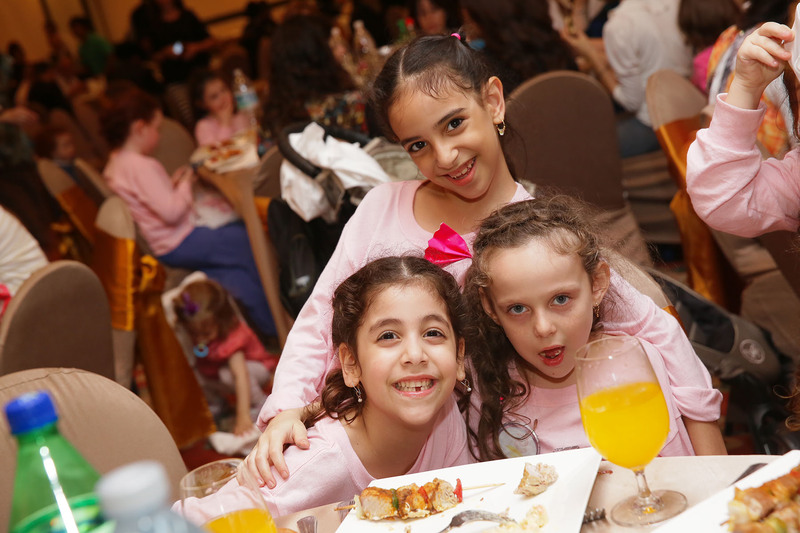 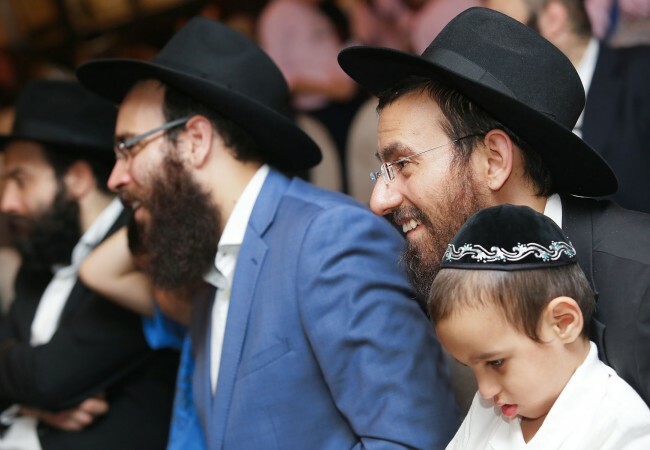 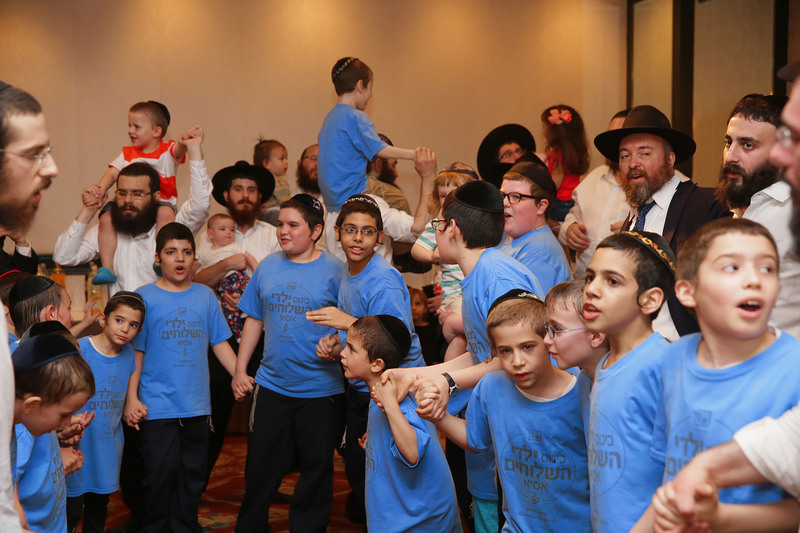 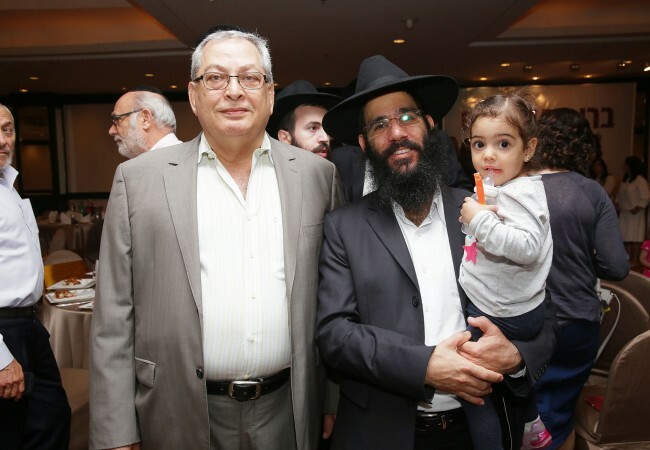 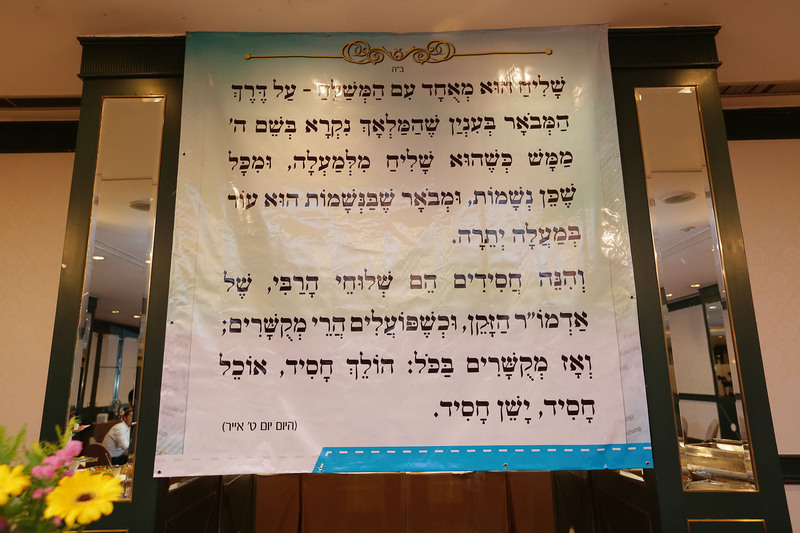 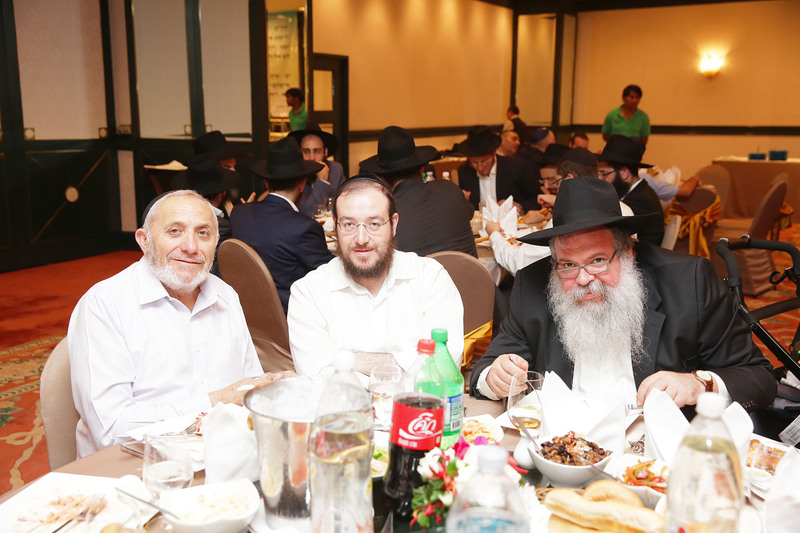 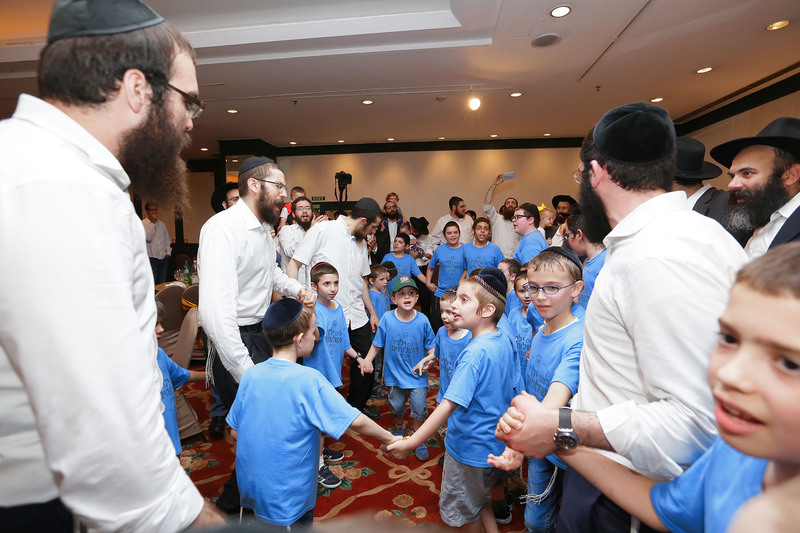 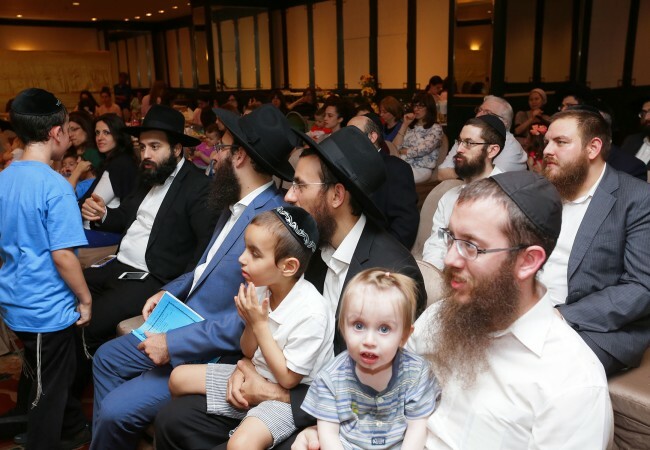 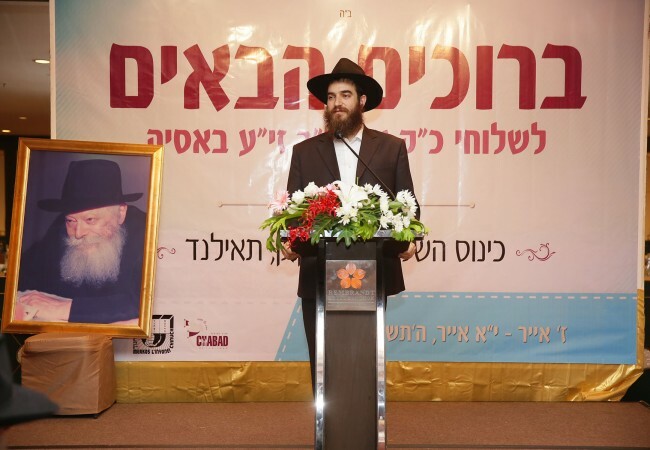 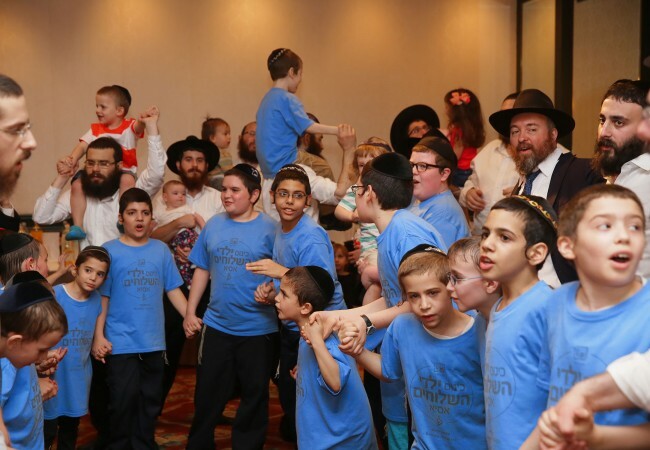 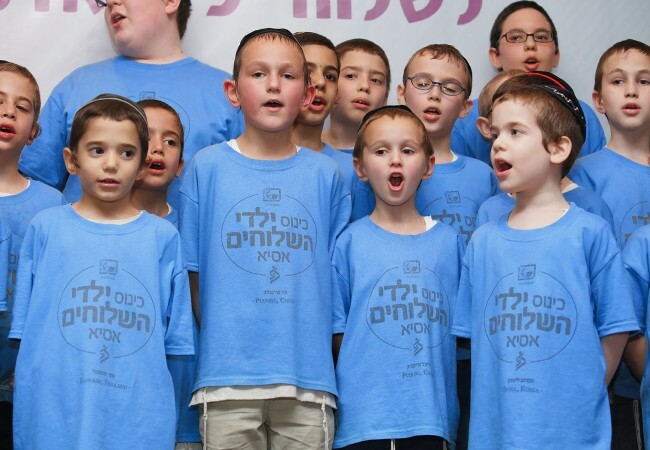 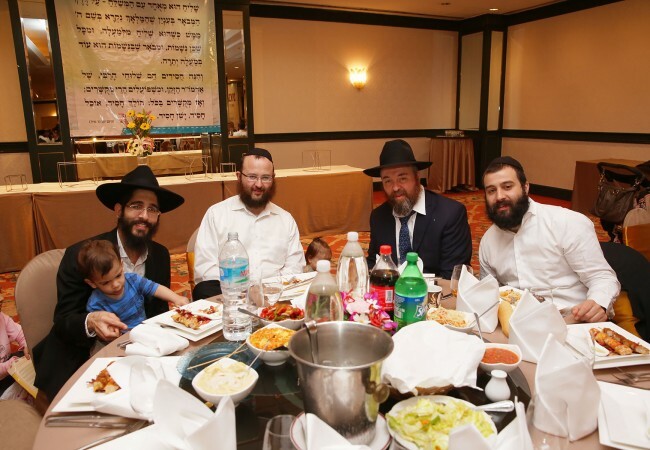 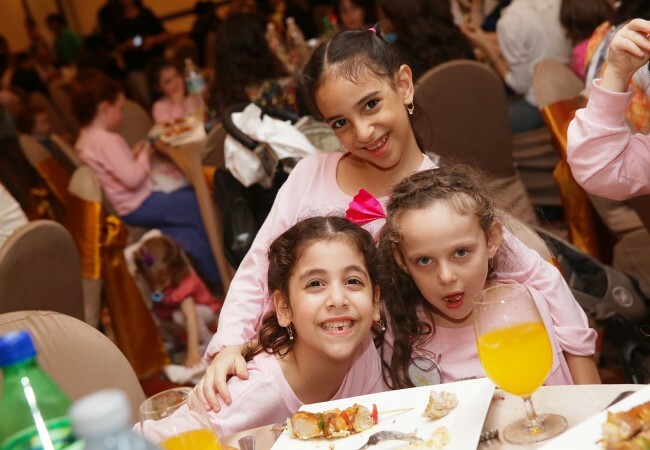 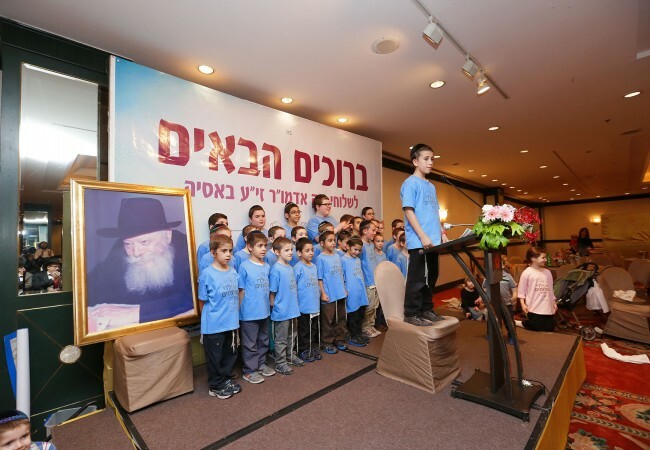 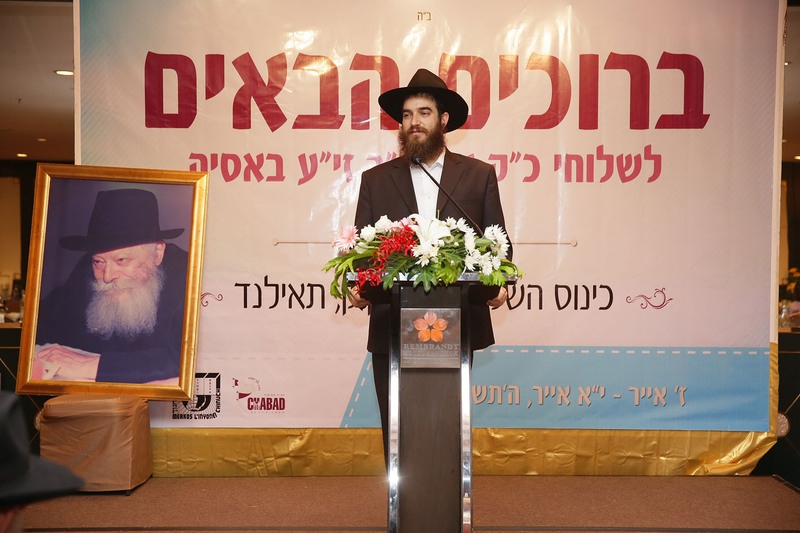 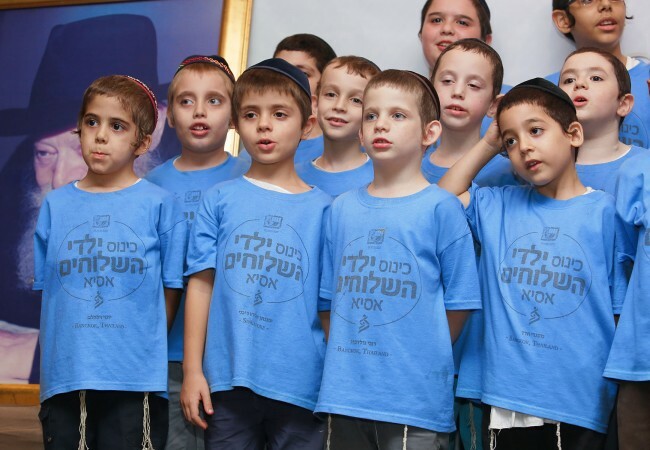 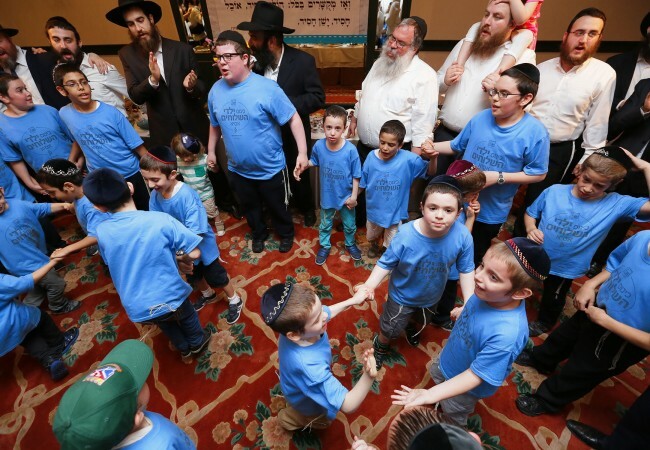 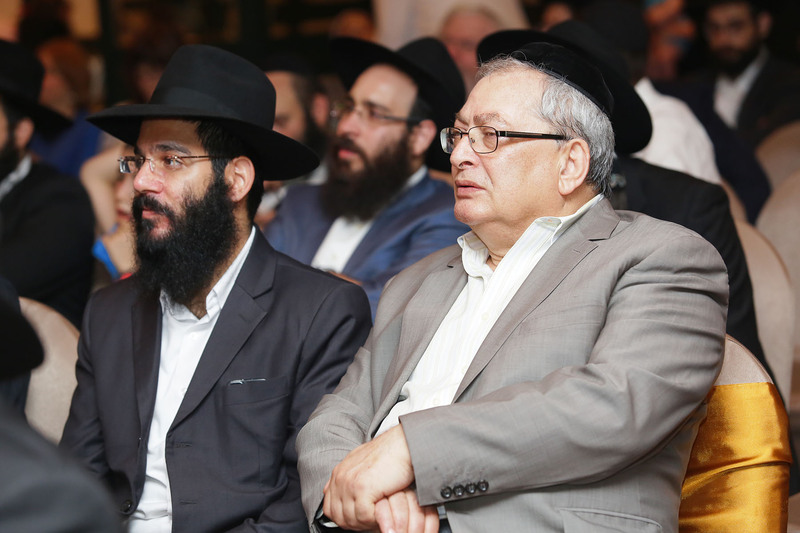 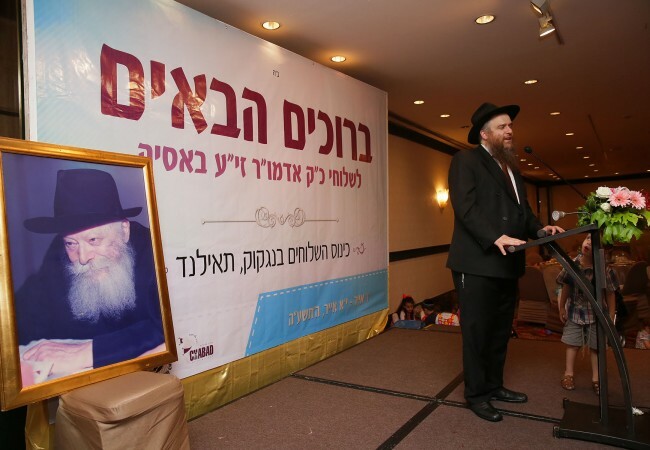 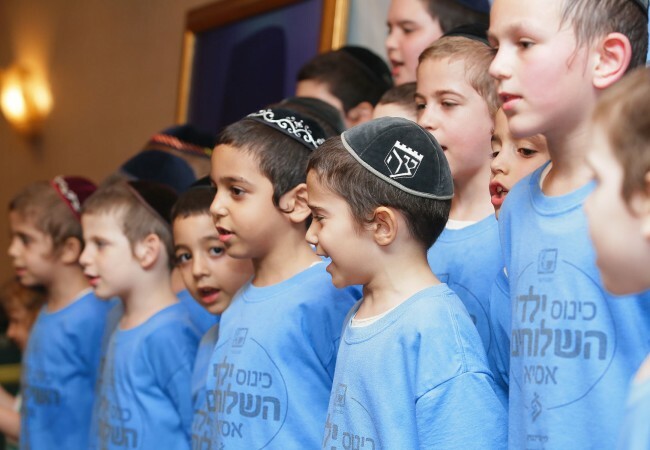 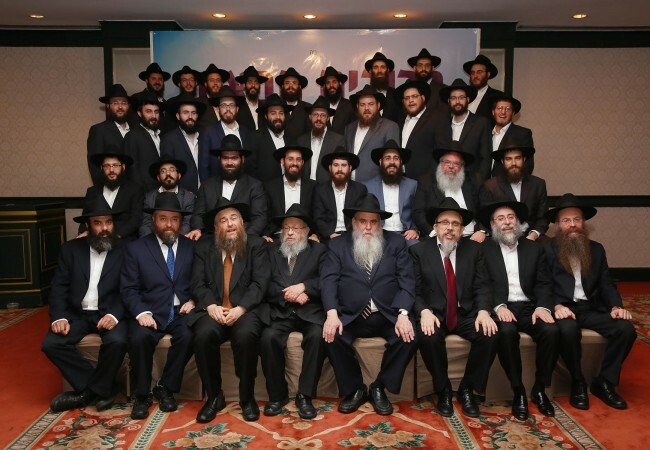 “There are times when life on shlichus is tough but I’d never want to switch it with anything else,” declared nine-year-old Sender Ouiezerat, shliach to Shanghai, China, during his speech at the gala banquet of the Asian Regional Kinus HaShluchim. 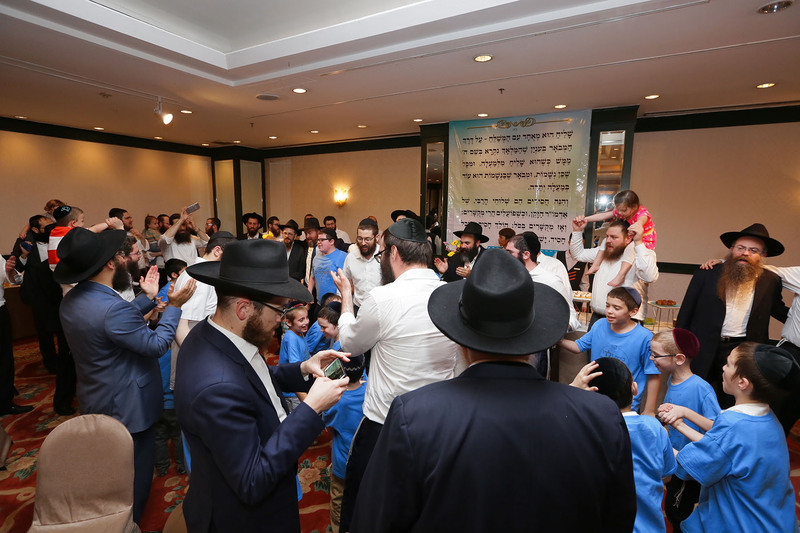 “After all, it is we who are on the front lines bringing Moshiach.” The rousing round of applause that followed was thick with emotion. 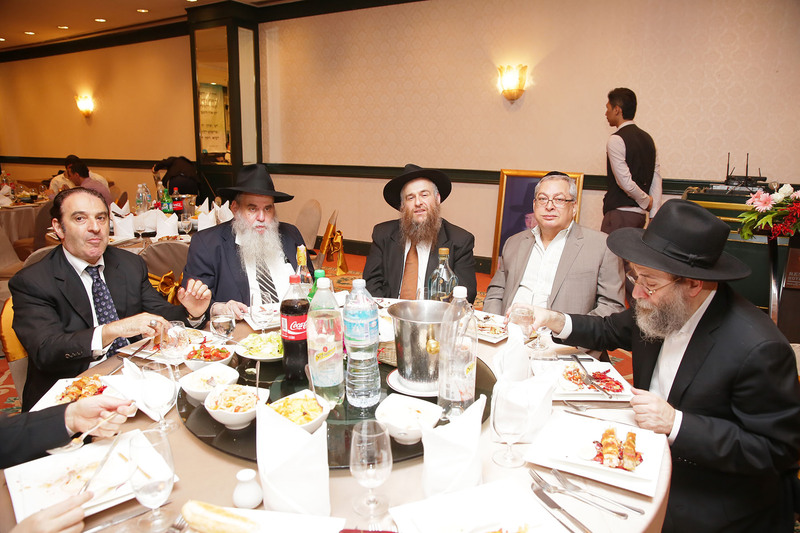 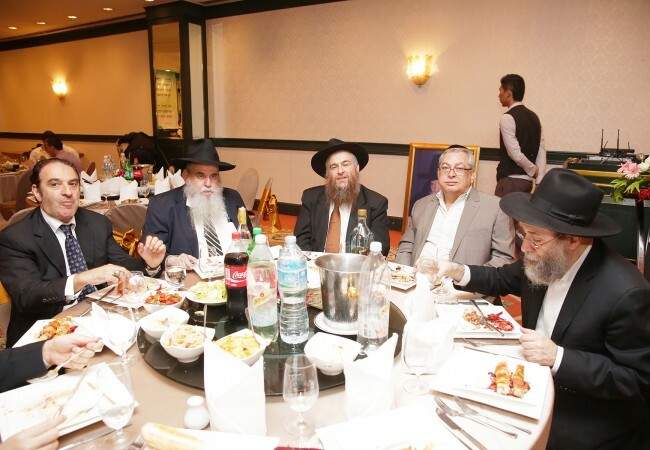 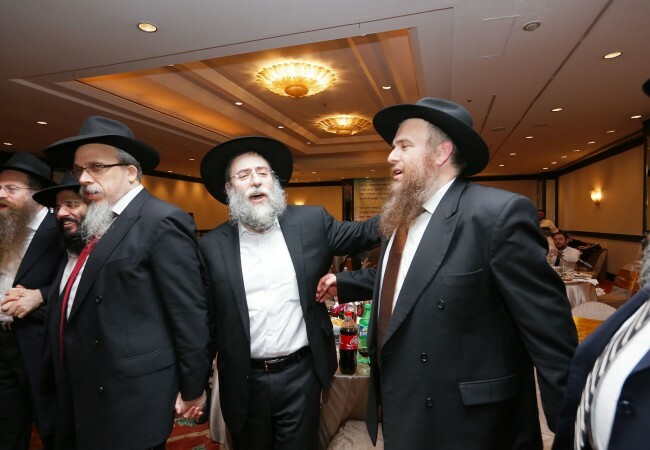 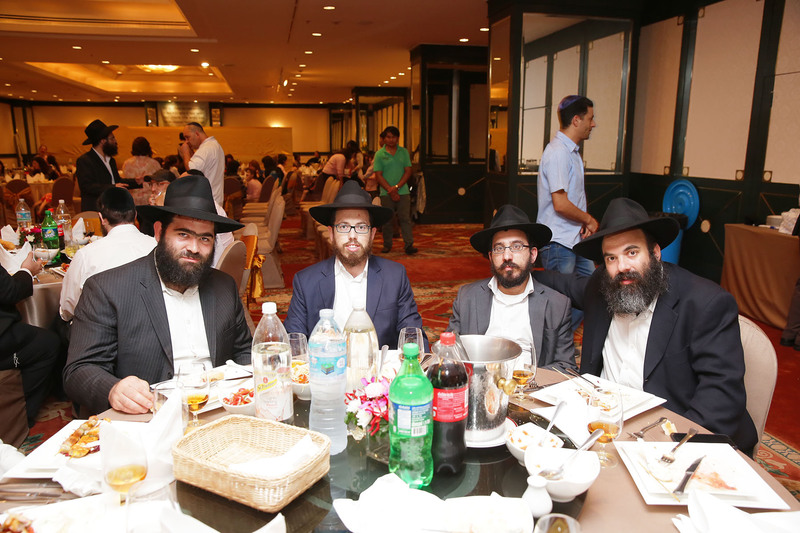 Climaxing four days ofsheves achim gam yochad, the gala banquet saw friends, supporters and community members come together to salute the 37 shluchim families posted throughout ten Far Eastern countries and acknowledge the indelible imprint they have made on the landscape of Asian Jewry. 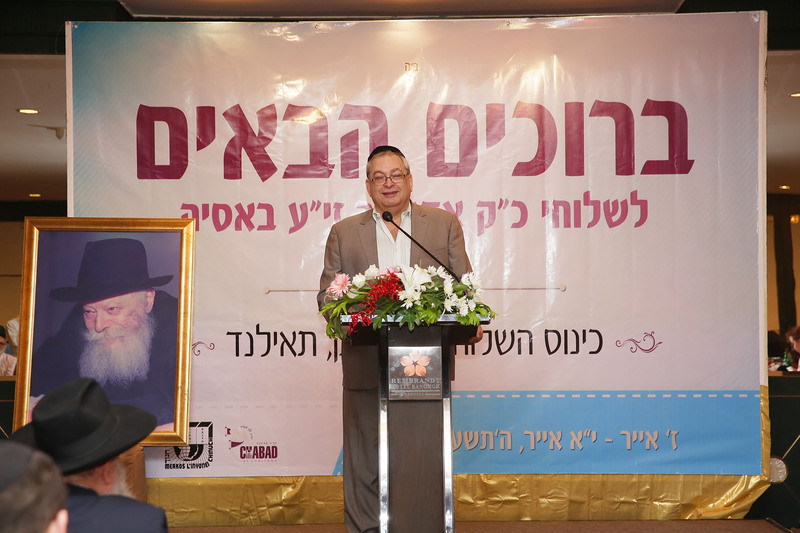 Mr. Avi Kashani, president of Bangkok’s Jewish community, represented the community in his remarks. 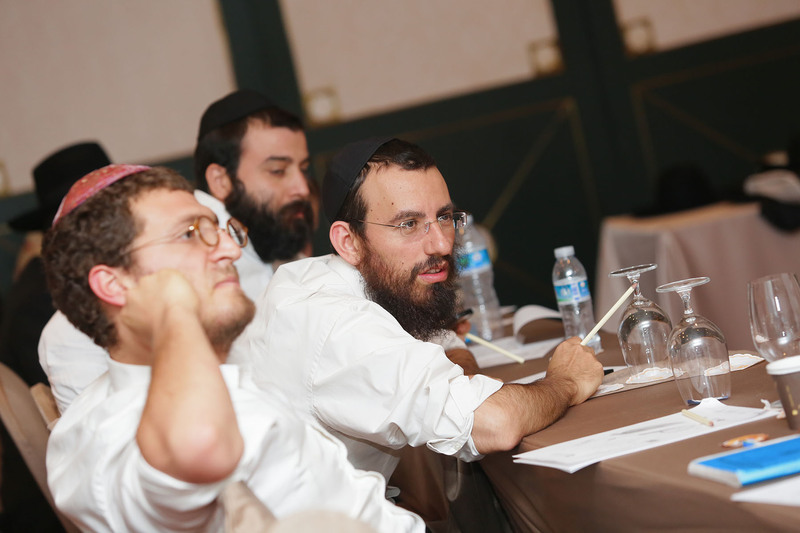 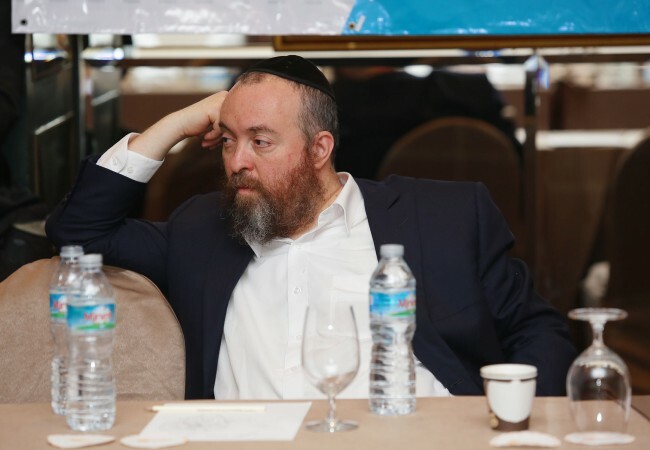 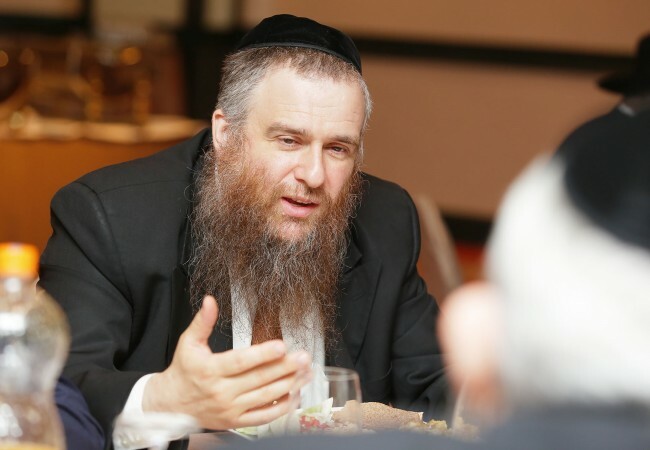 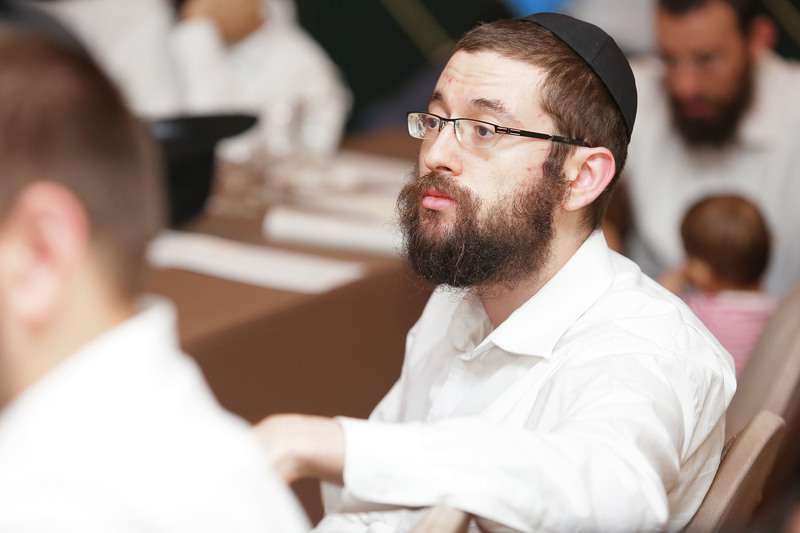 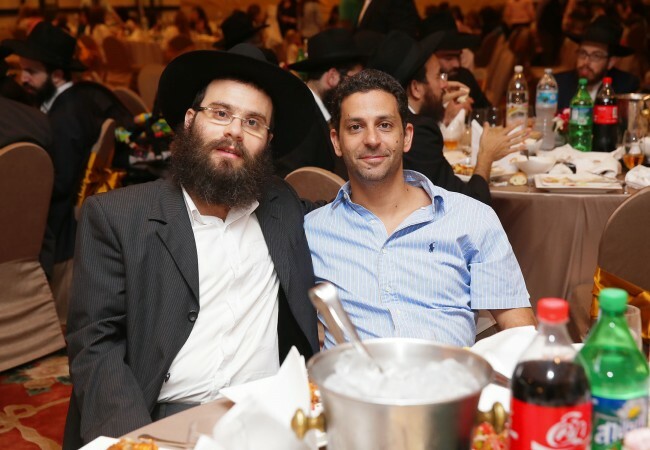 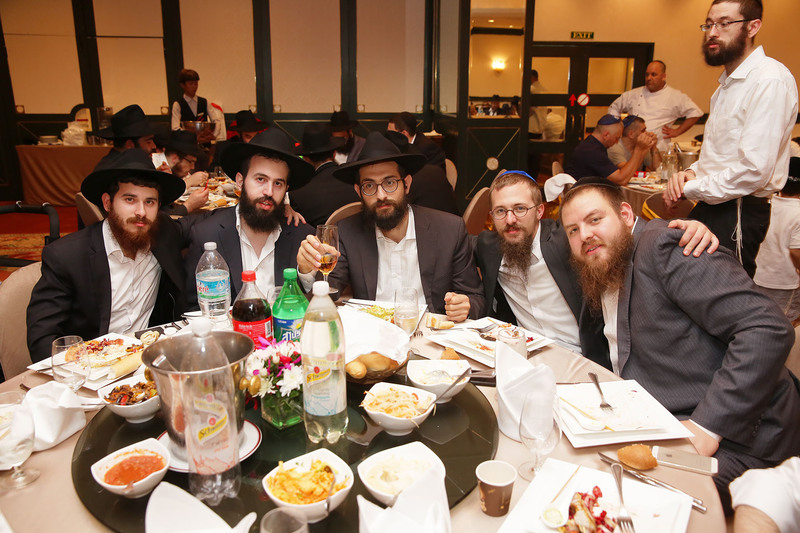 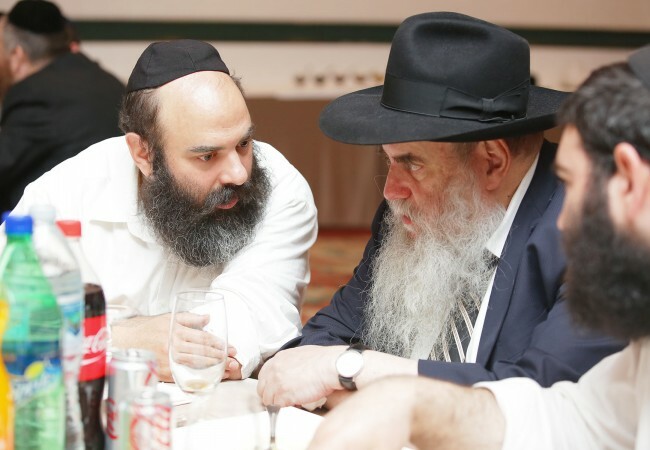 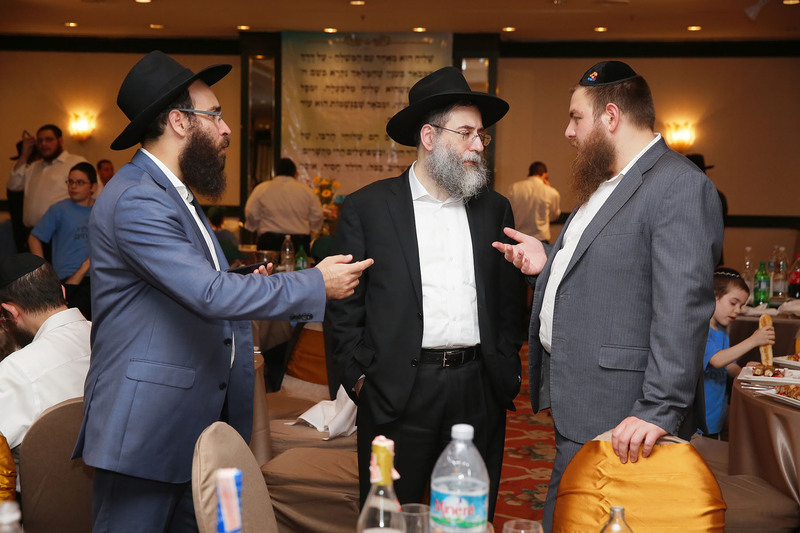 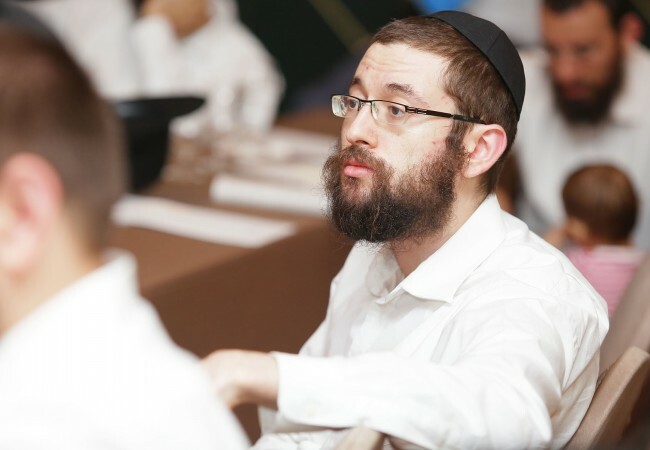 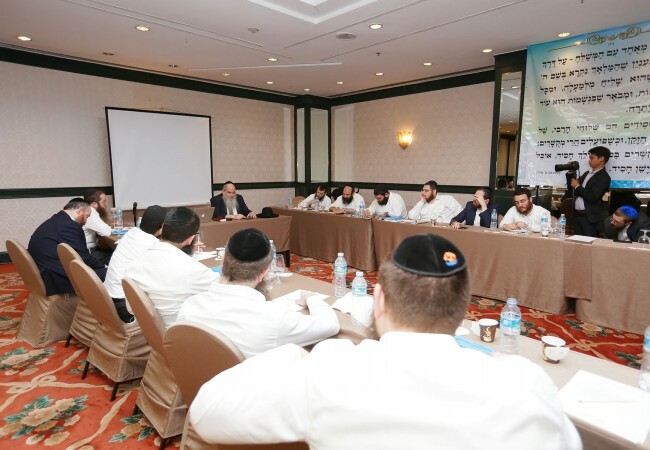 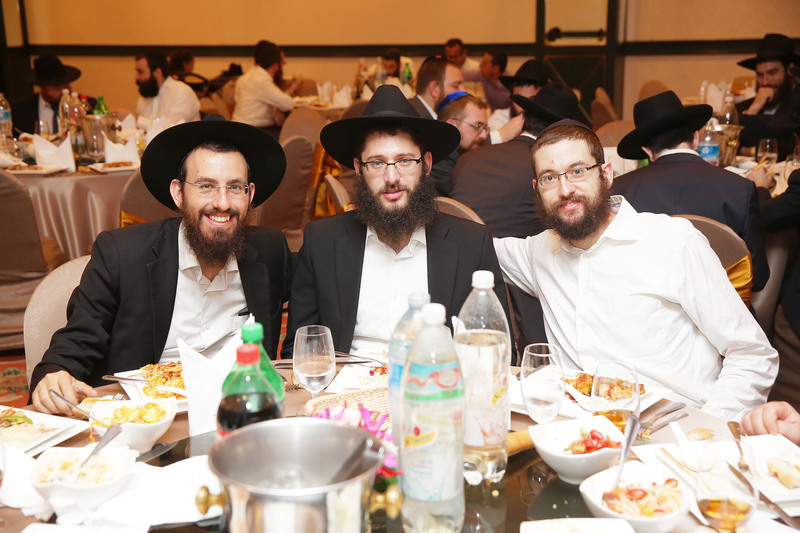 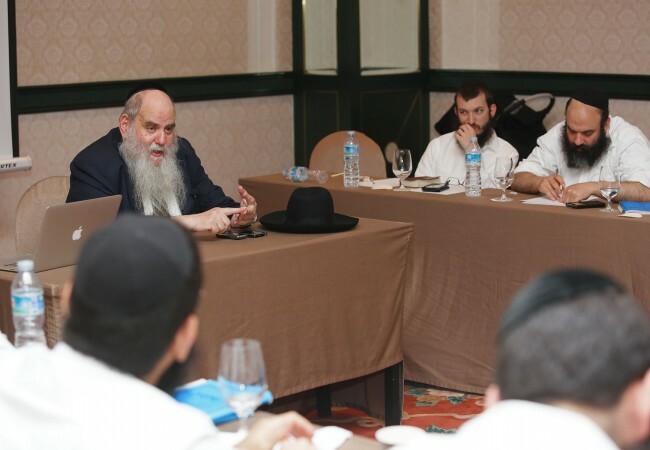 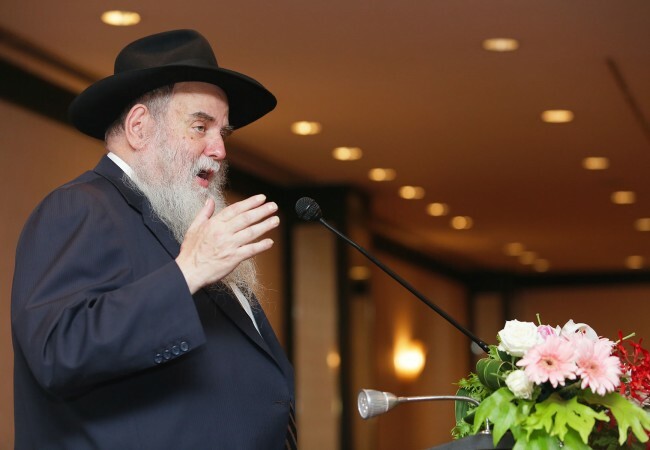 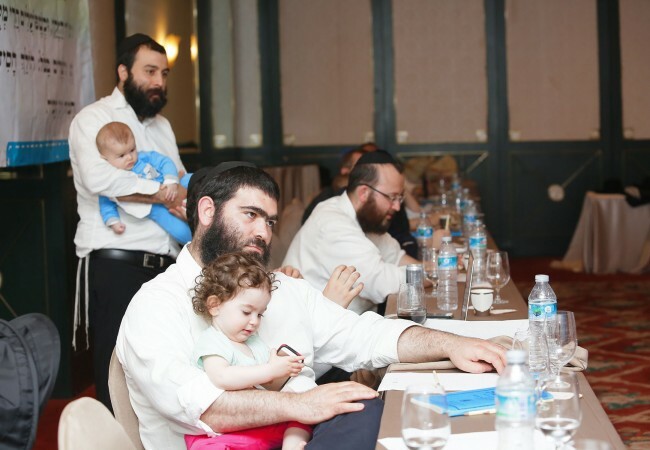 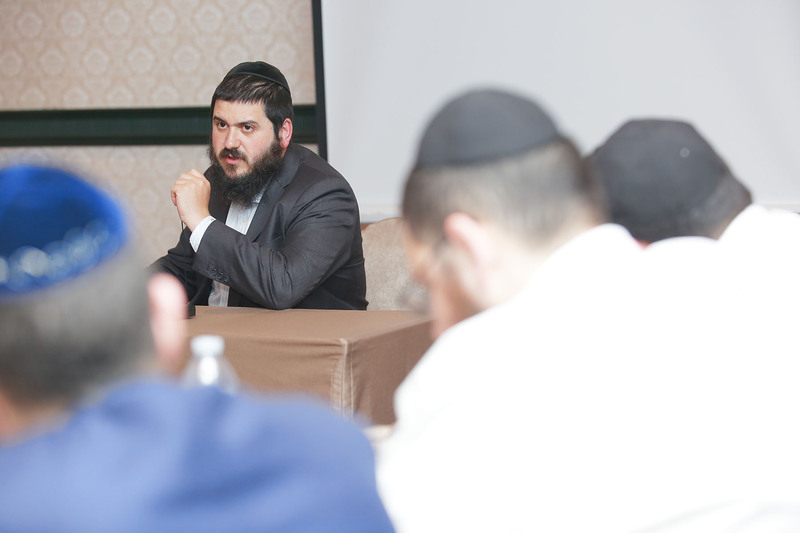 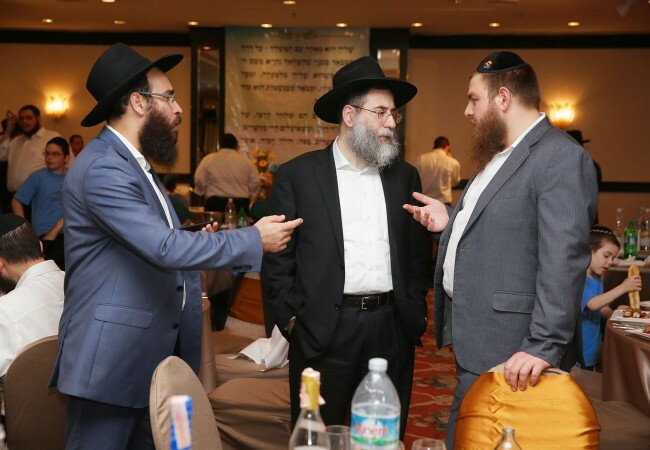 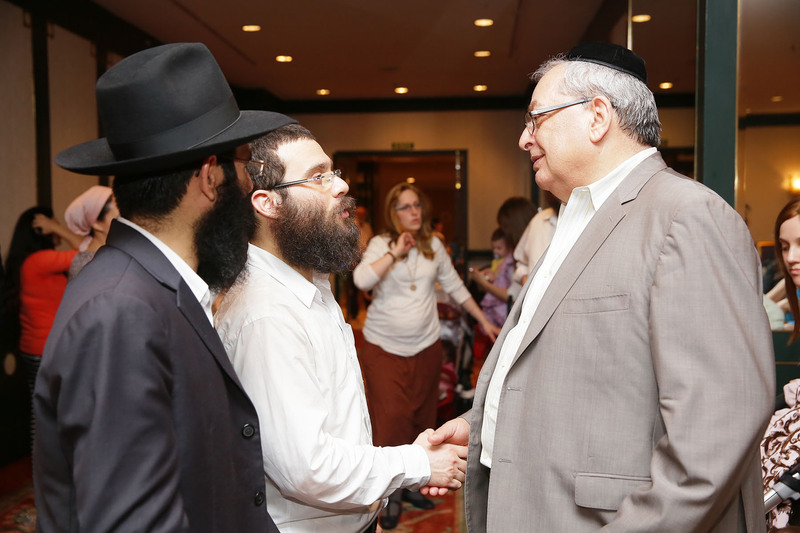 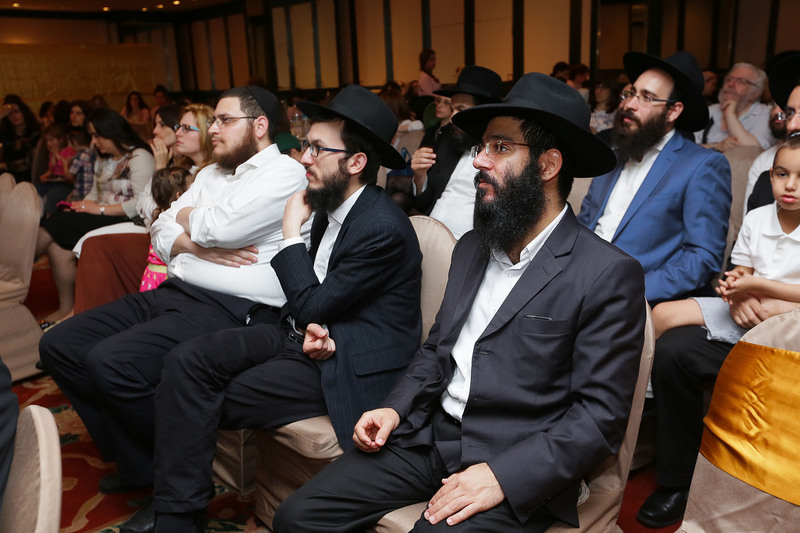 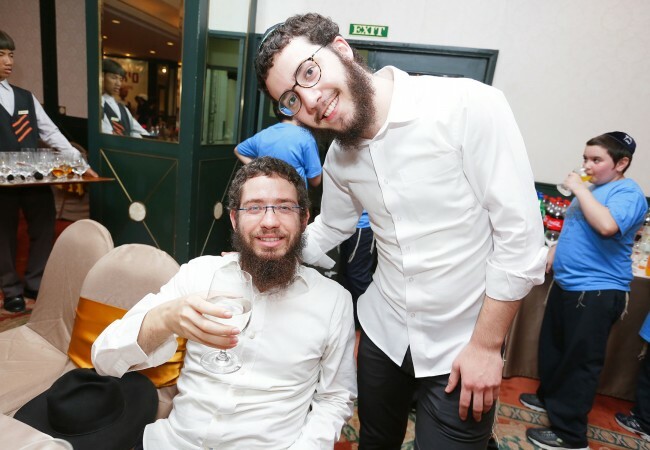 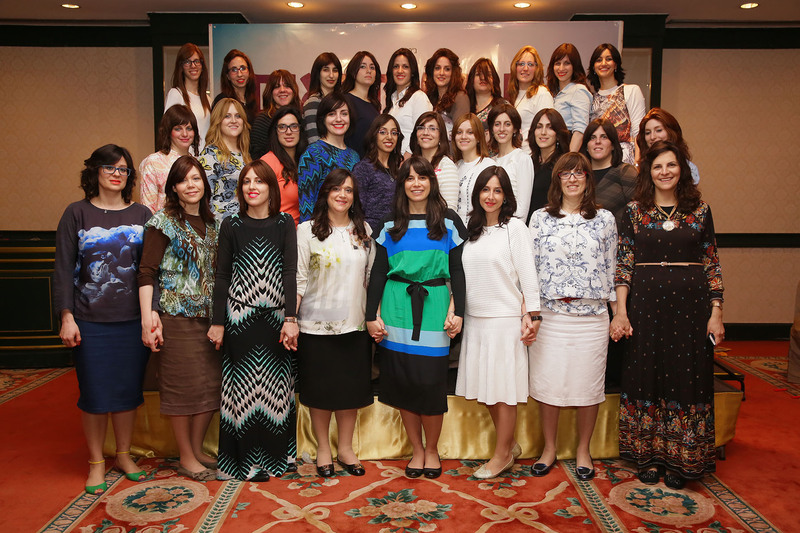 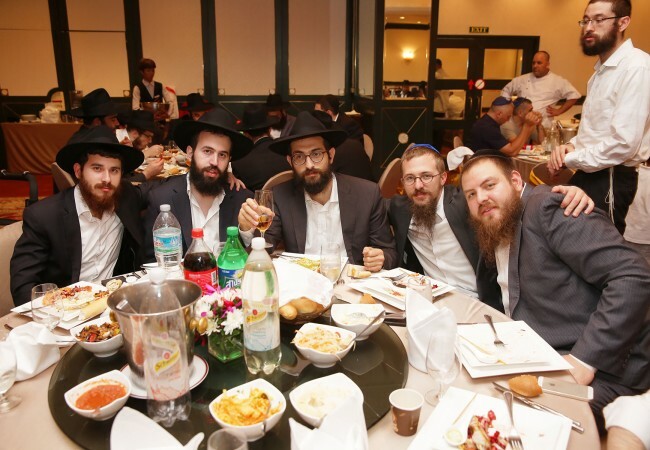 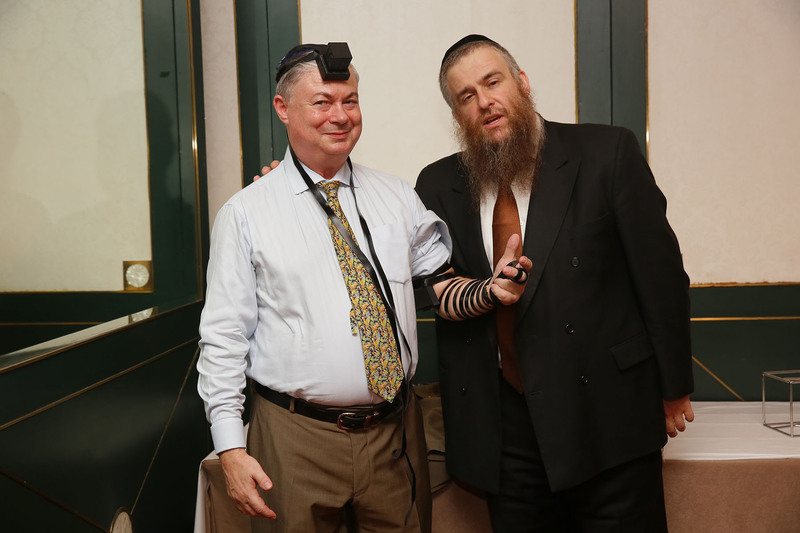 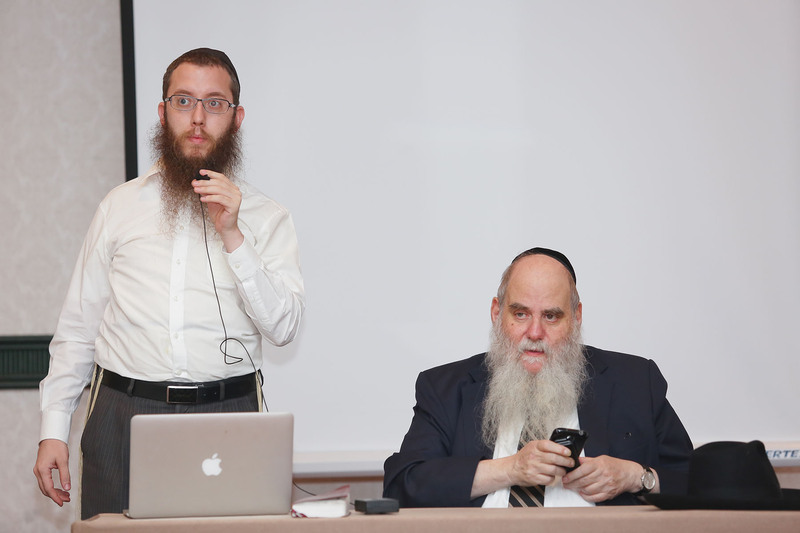 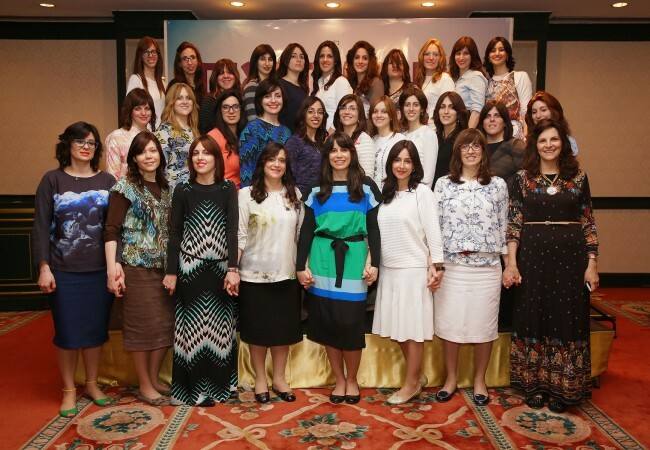 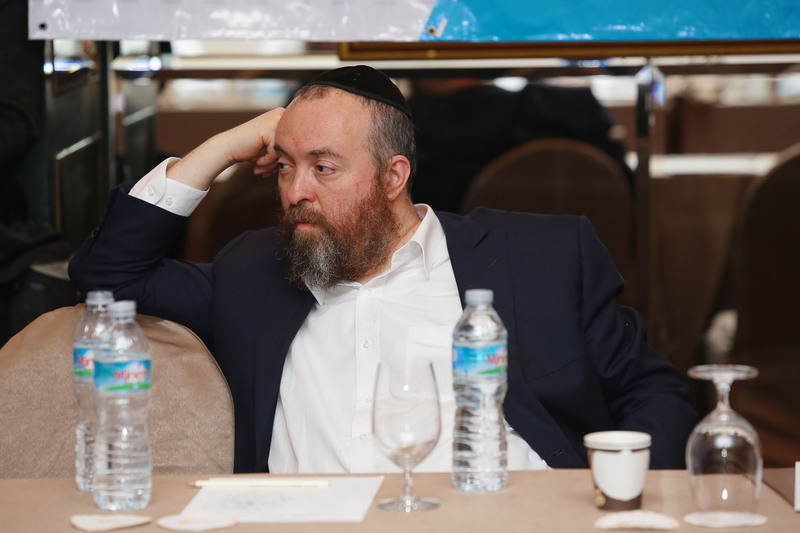 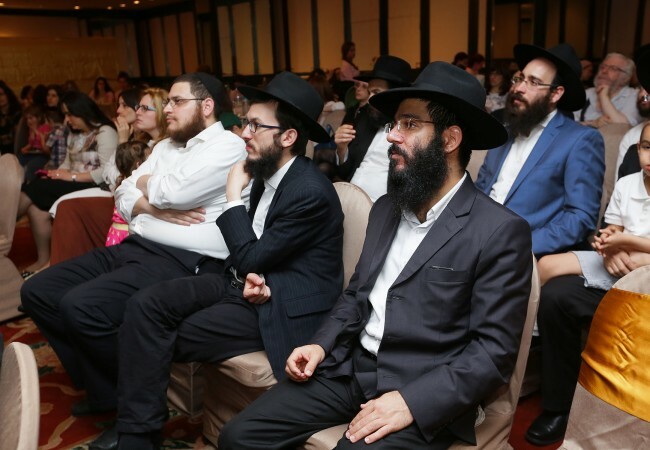 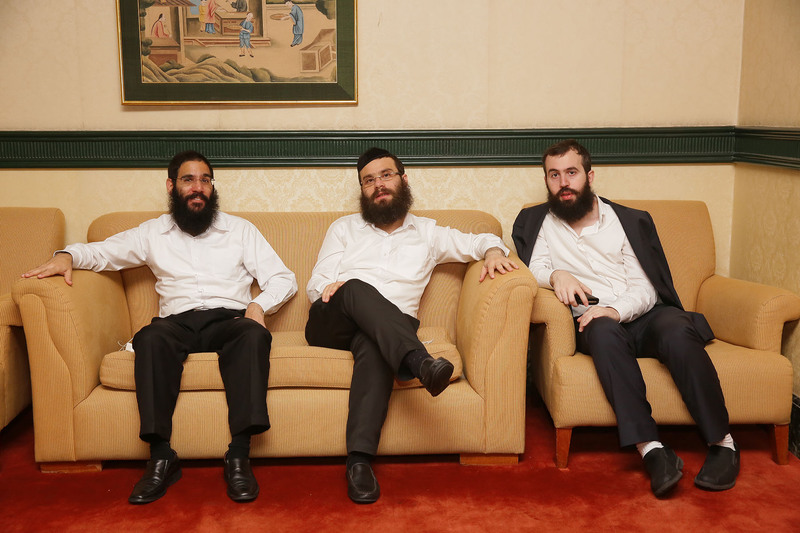 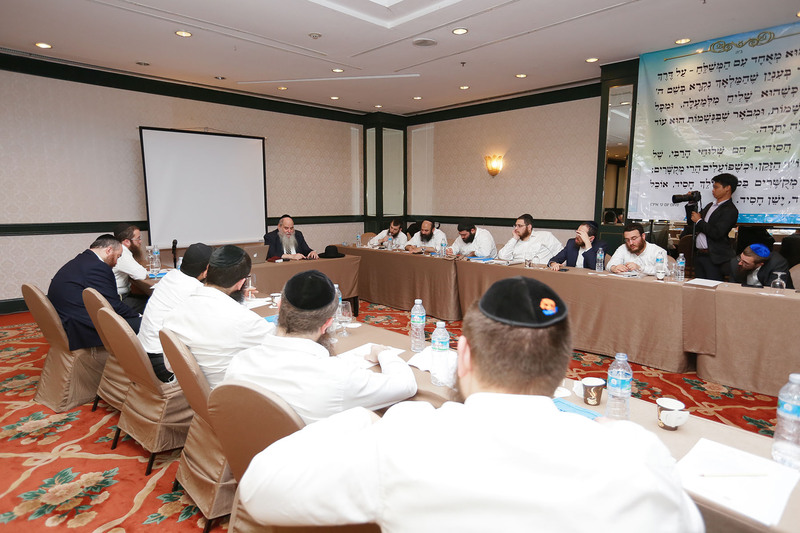 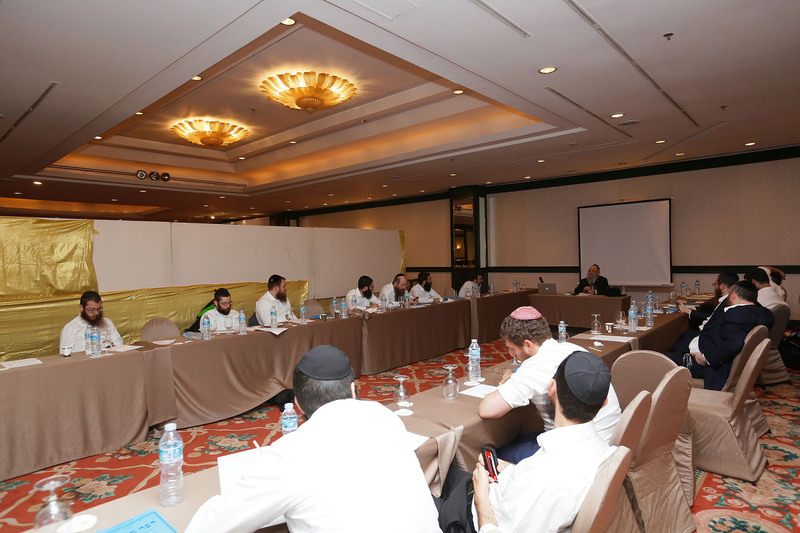 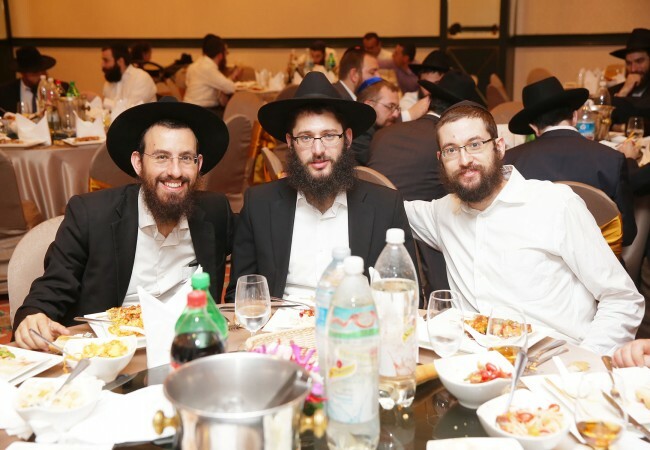 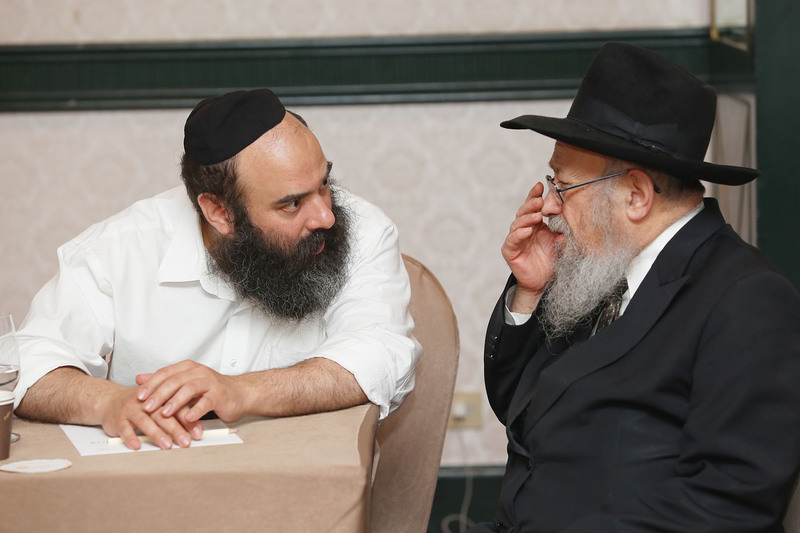 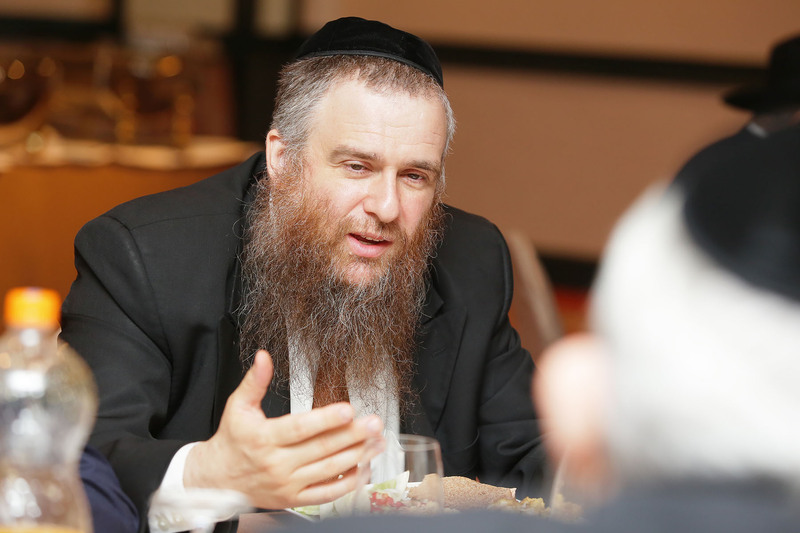 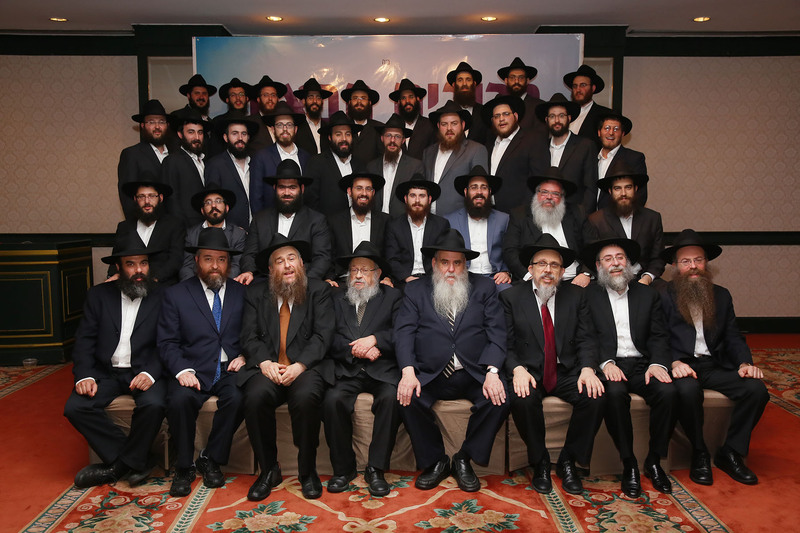 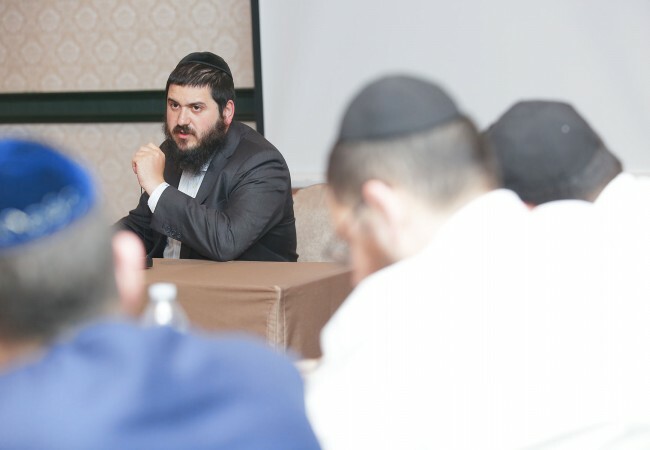 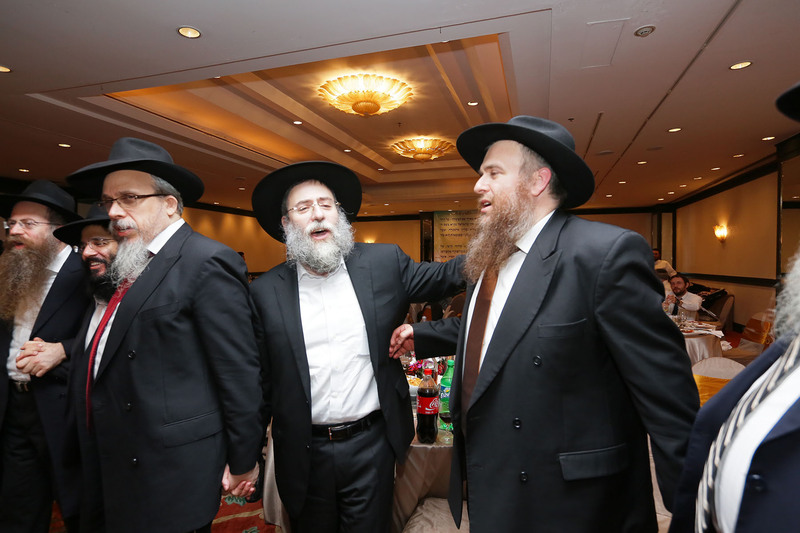 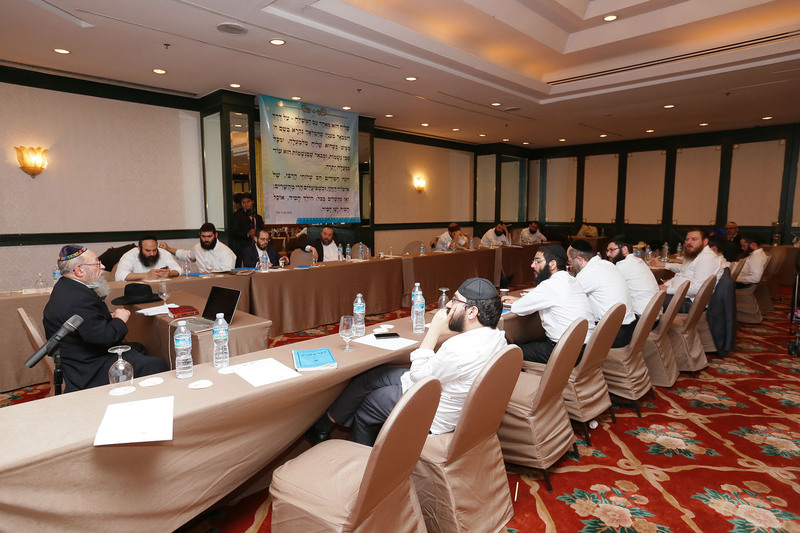 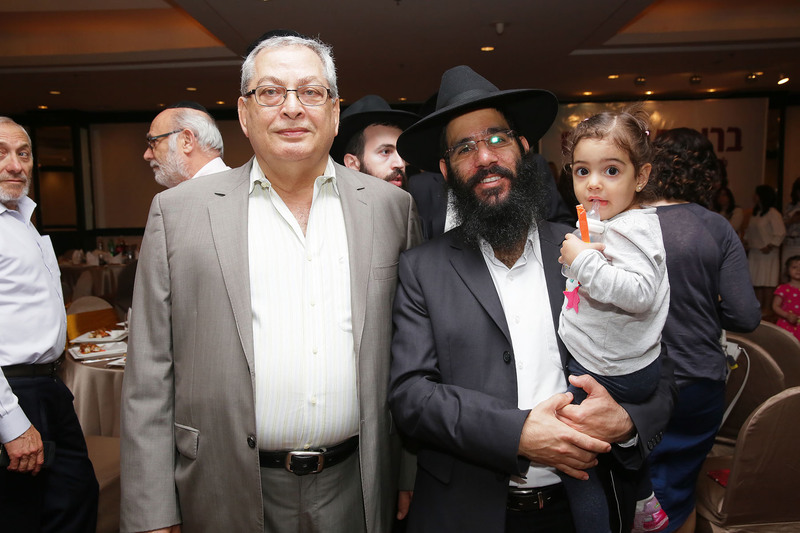 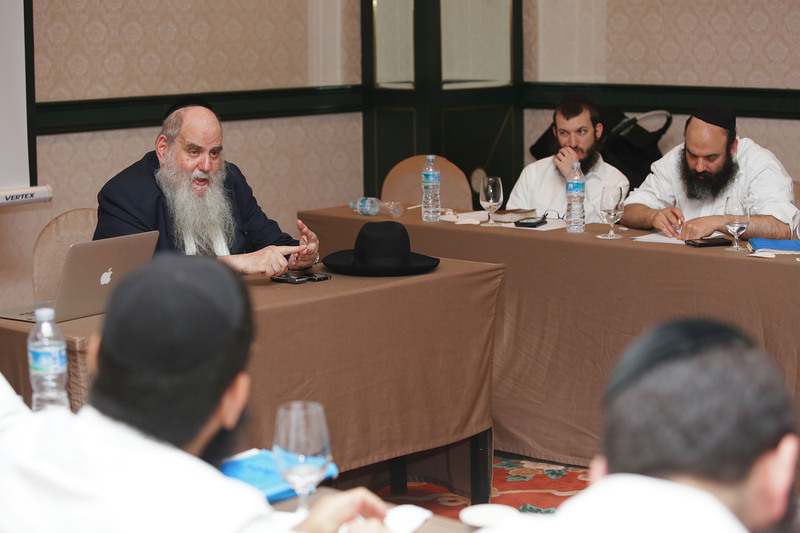 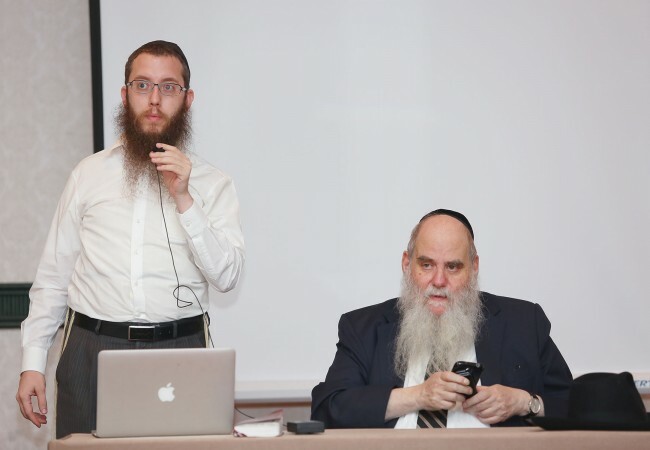 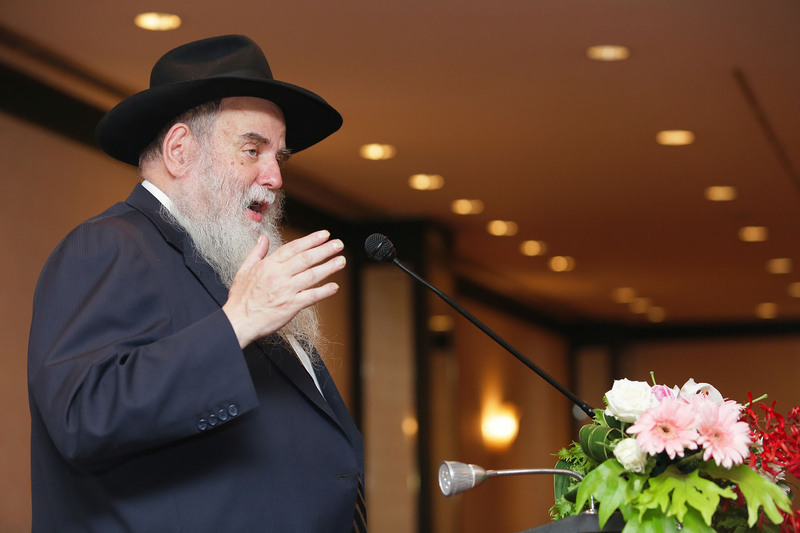 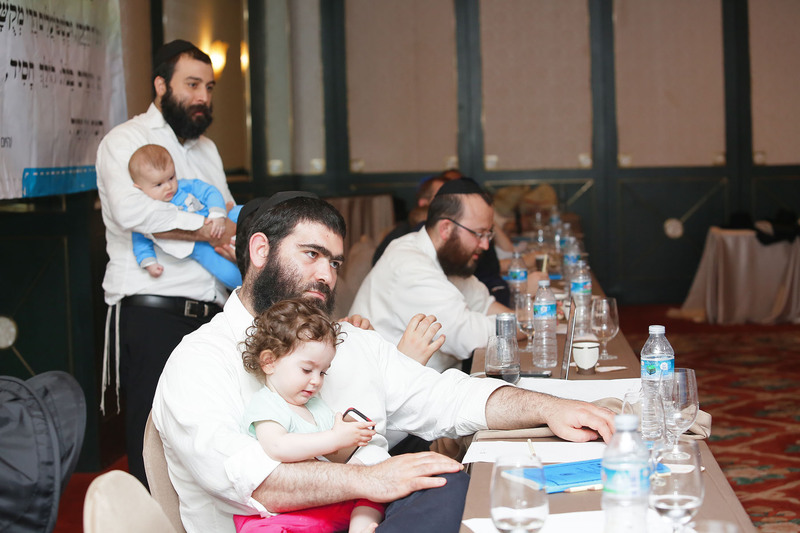 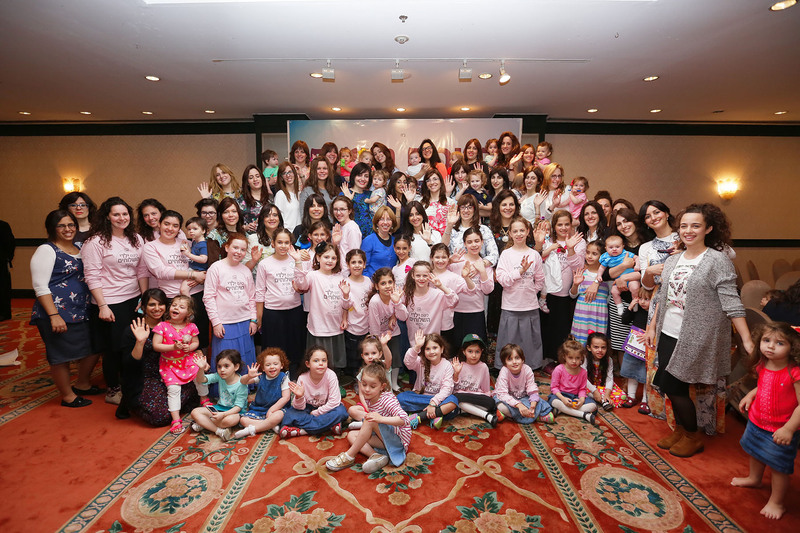 “Before Chabad came to Thailand, Jewish life over here was complicated and very challenging. 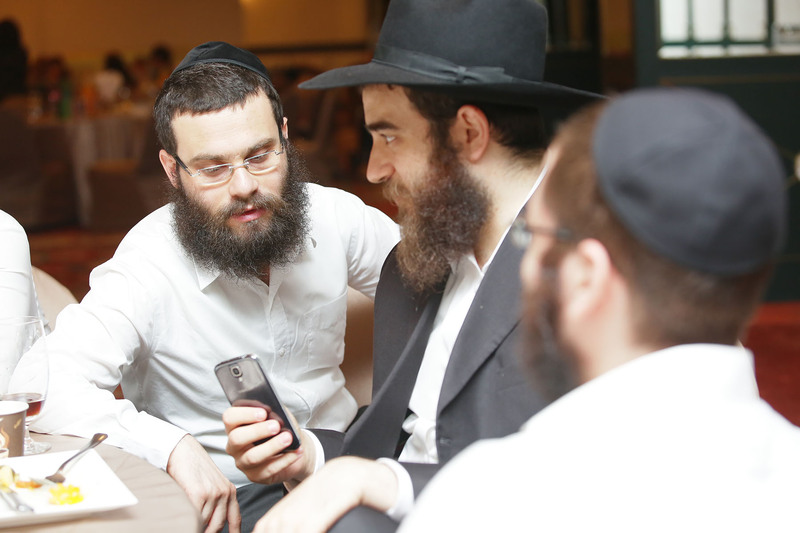 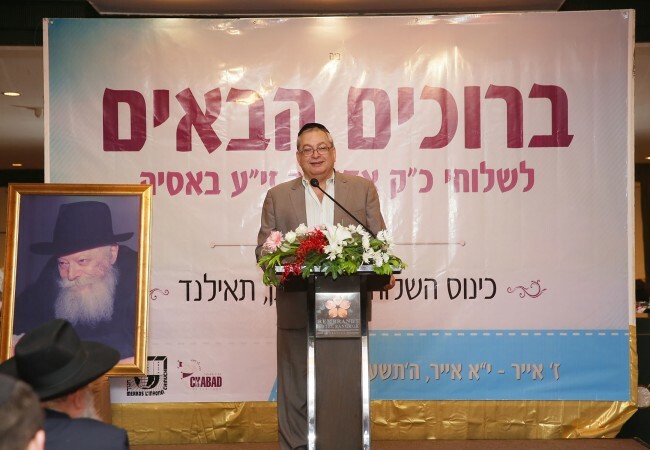 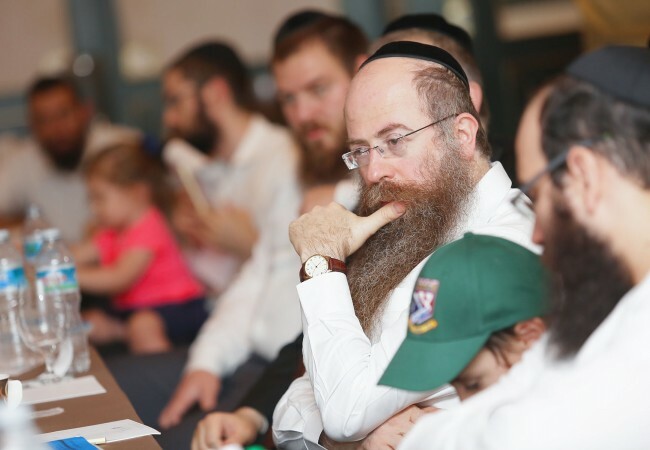 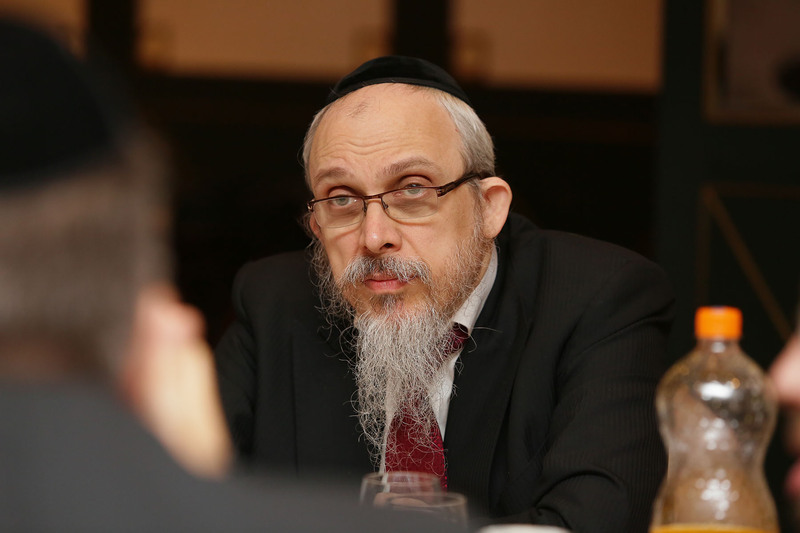 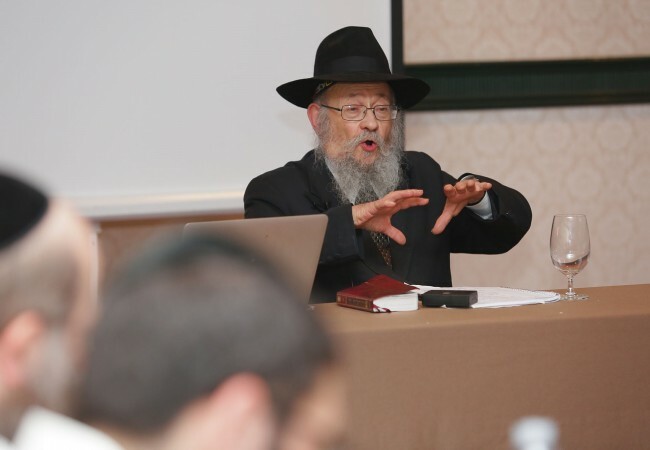 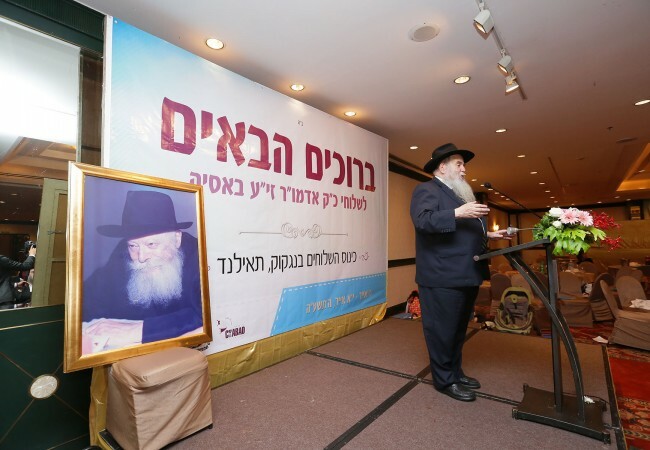 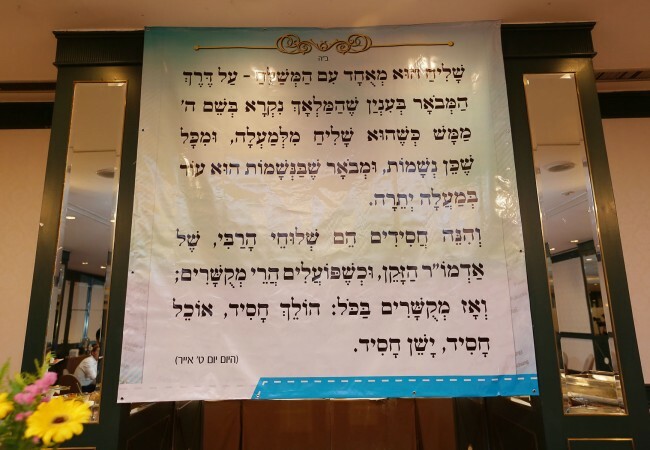 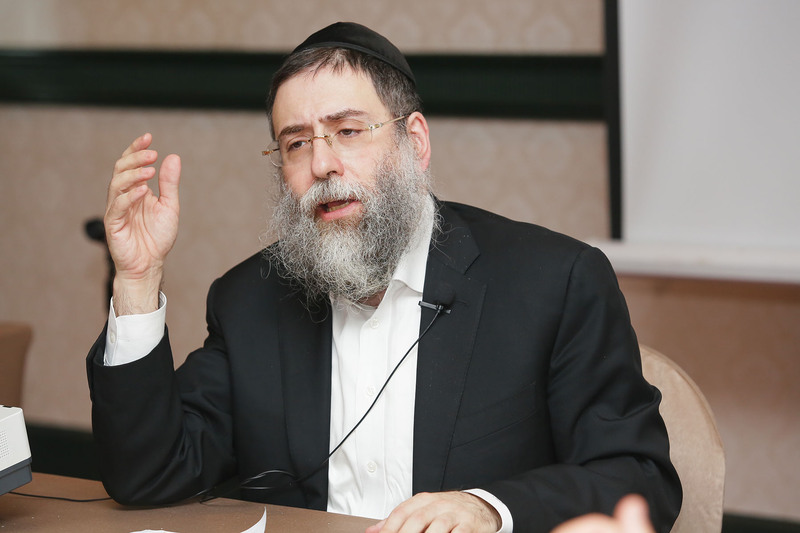 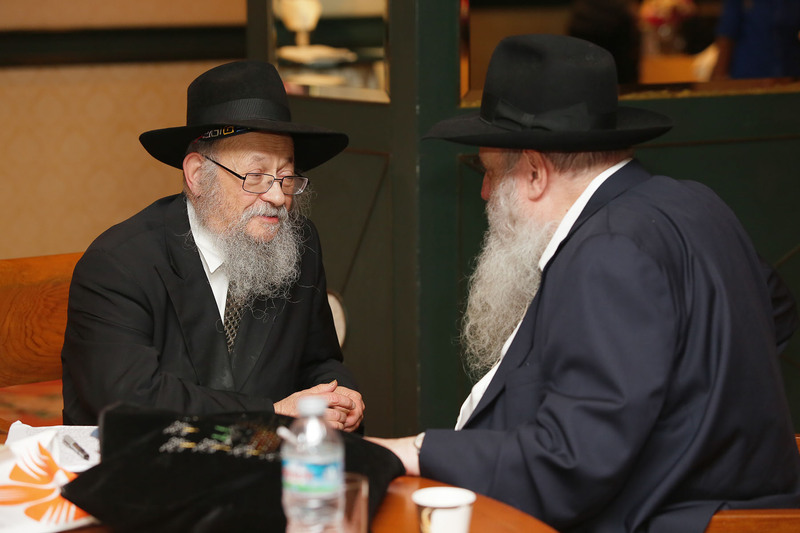 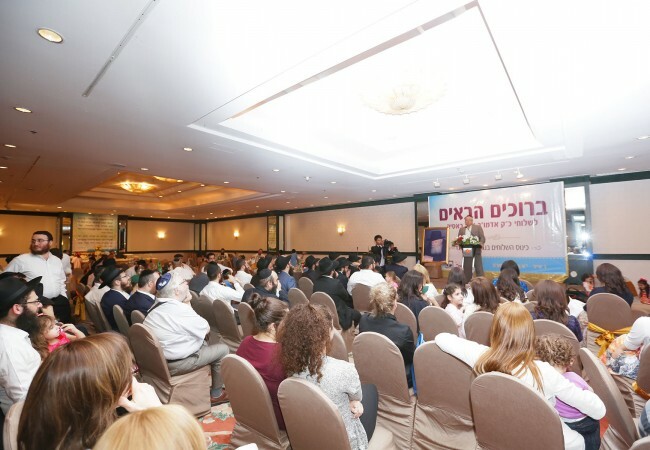 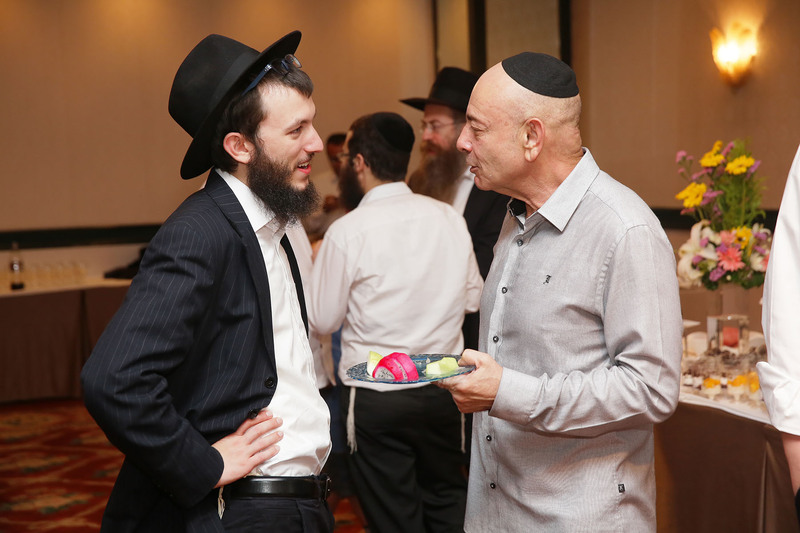 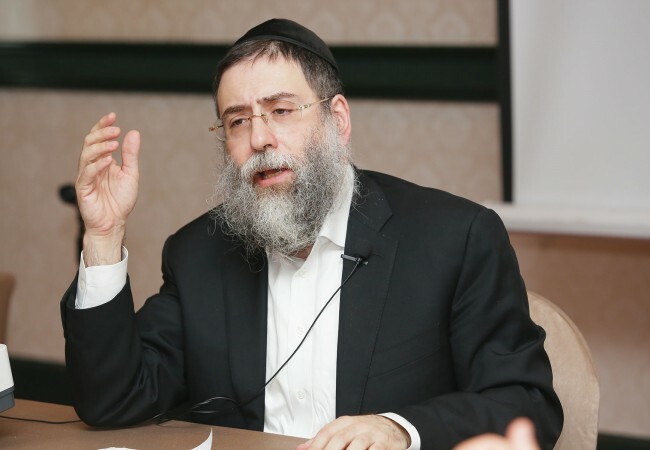 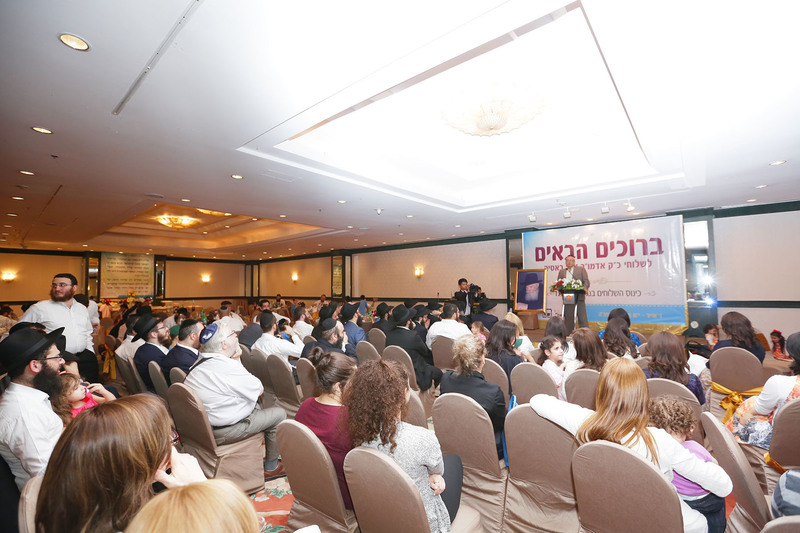 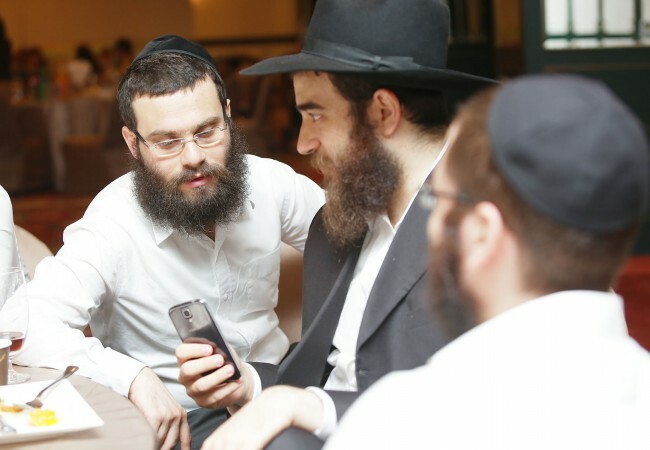 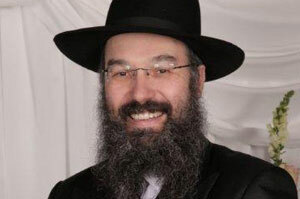 Thanks to the shluchim and their tireless efforts, everything has changed and Jewish life has flourished in a very real way.” He then shared multiple examples of how the shluchim in his city have affected many aspects of his personal life as a Jew. 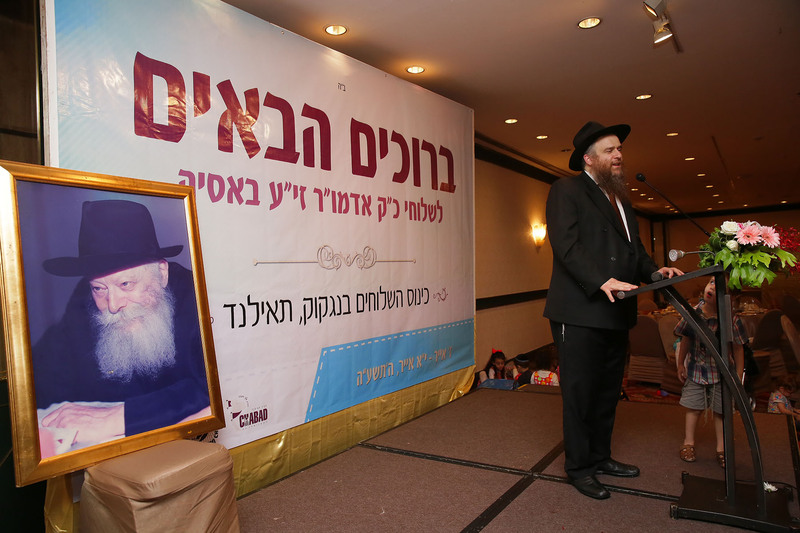 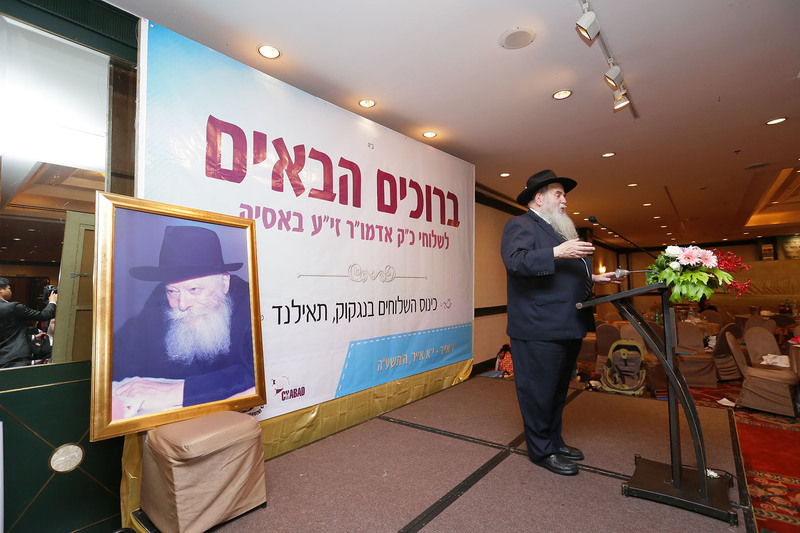 The final speaker of the evening, Sender Ouizerat, spoke in the name of his fellow yaldei hashluchim, thanking MyShliach and Rabbi Kotlarsky, as well as the kinus organizers, for the incredibly successful kinus camp that they had all enjoyed. “Over the last few days, I made many new friends,” he said. 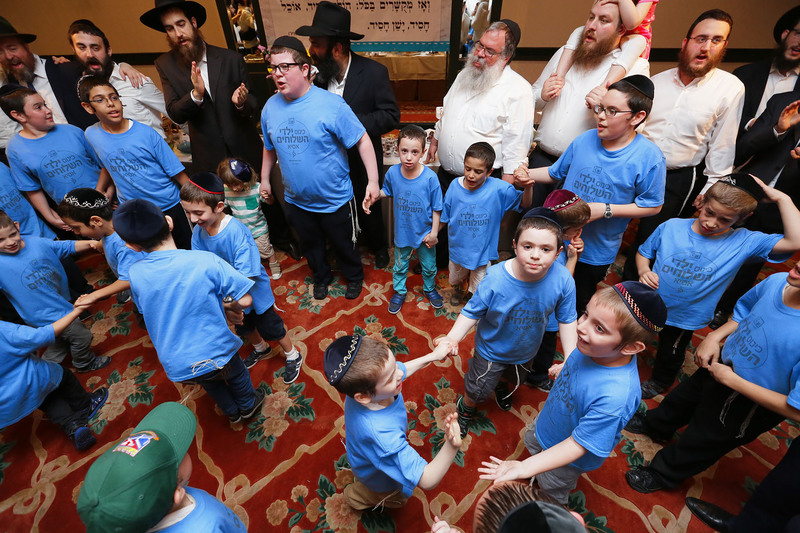 “My every moment here was an incredible experience; I feel like my batteries have been recharged.” As he concluded his remarks, the yaldei hashluchim burst into song. 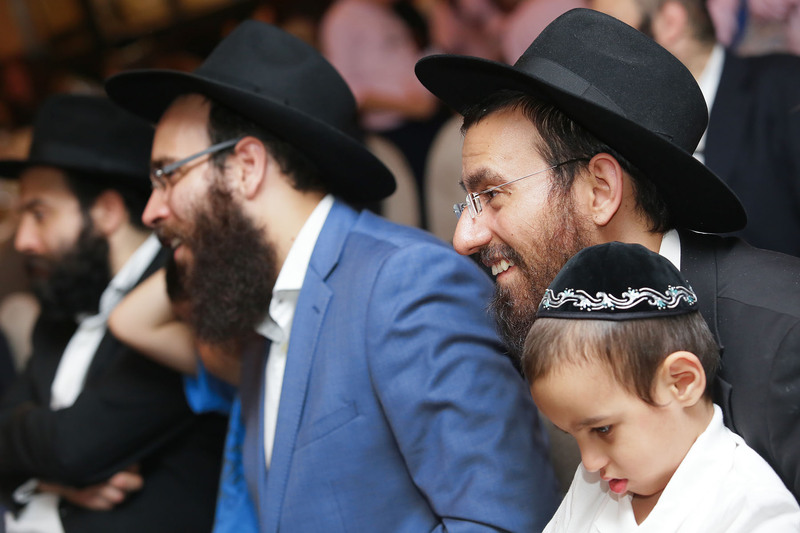 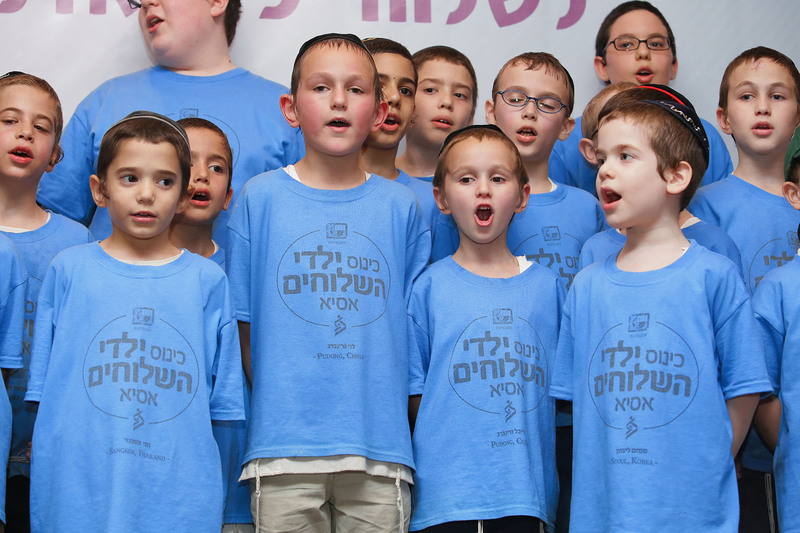 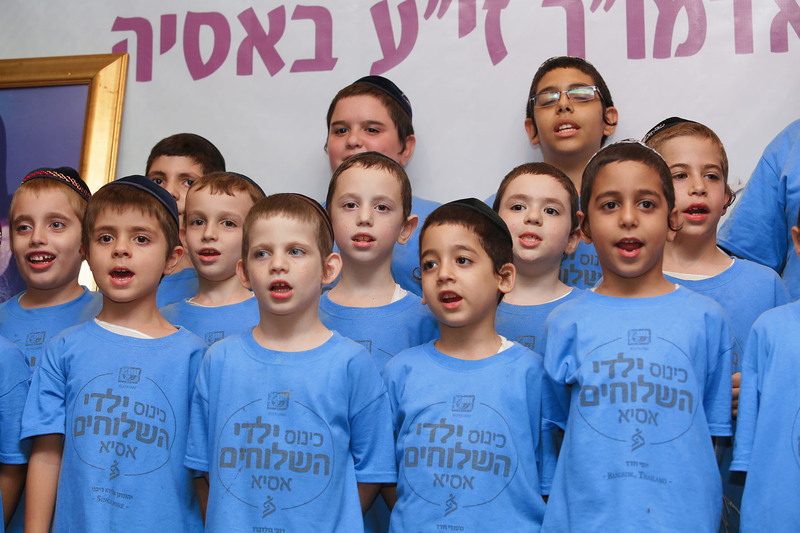 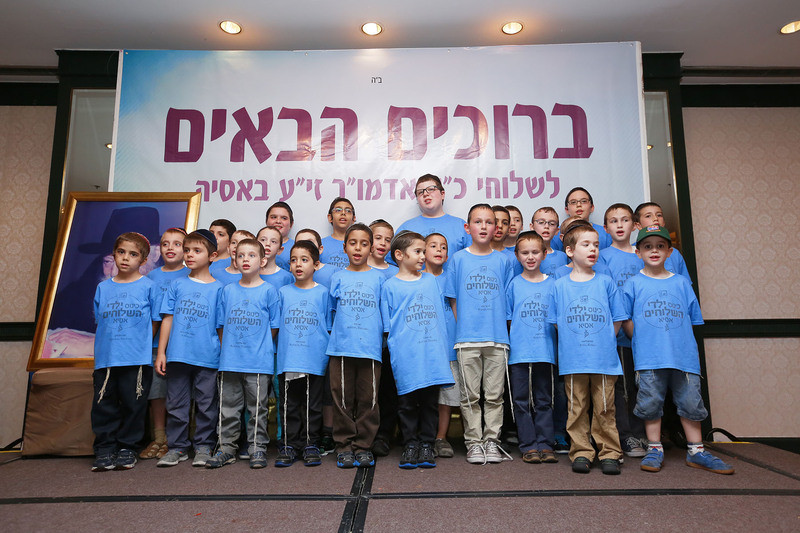 “Shluchei Adoneinu…” they thundered, joined moments later by their fathers. 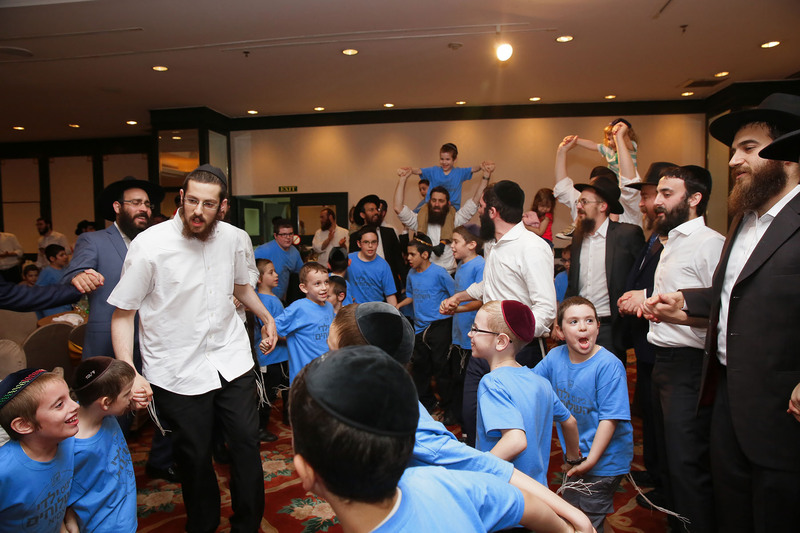 The spontaneous dancing that followed quickly gained momentum, uplifting all those present.